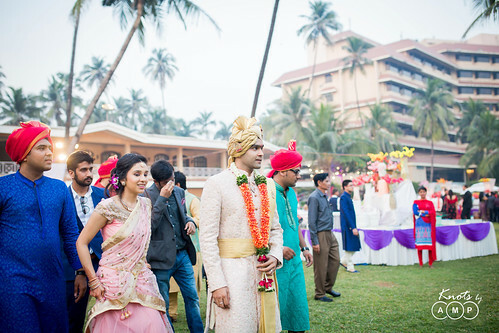 It was last year, Anupam met Raghav and Shreya at StarBucks, BKC for the first time to discuss about their wedding photography. 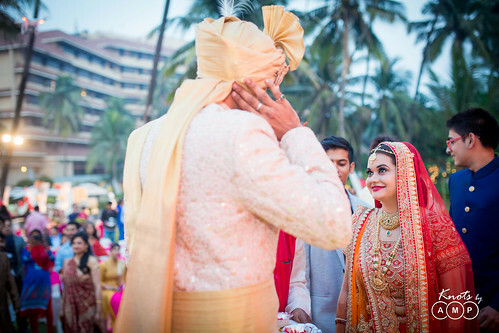 It became very clear to him that they were putting a lot of efforts and carefully planning their wedding and they wouldn’t settle for anything less than perfect. 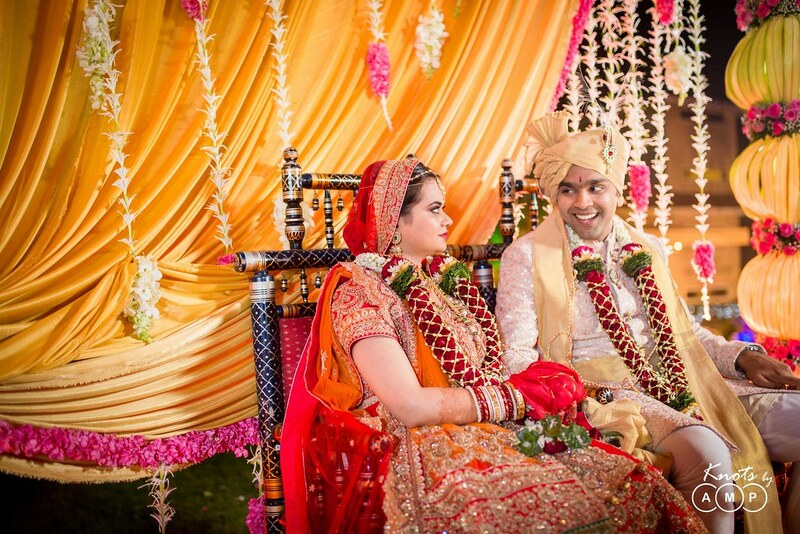 Both of them had very strong tastes and preferences and they were specifically impressed with our recent work. For a couple whose romance started in their college and they have been together ever since, they were at very much ease with each other and it was all evident. 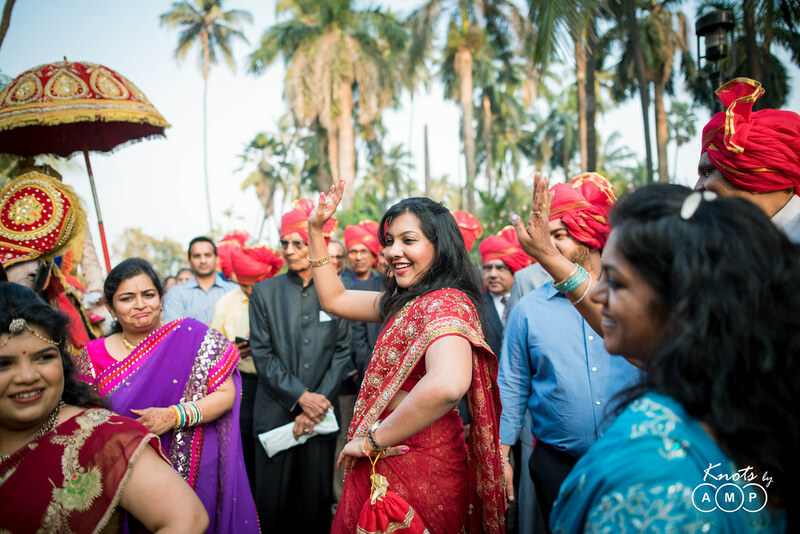 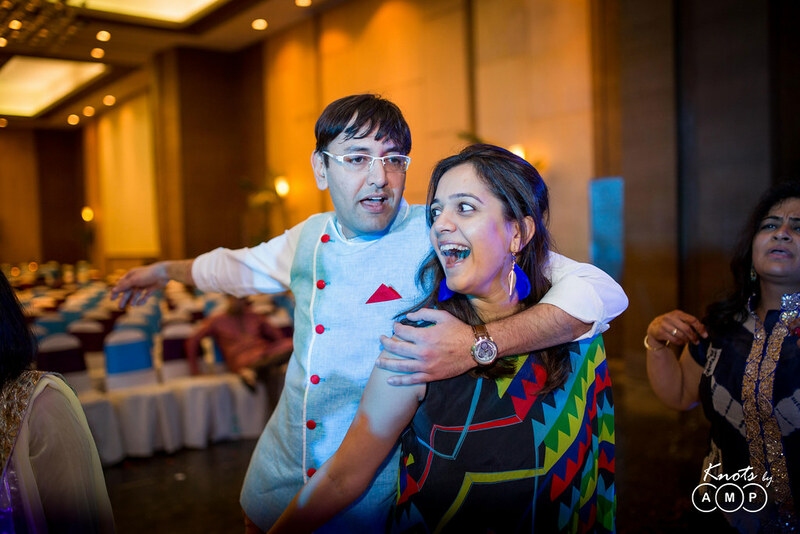 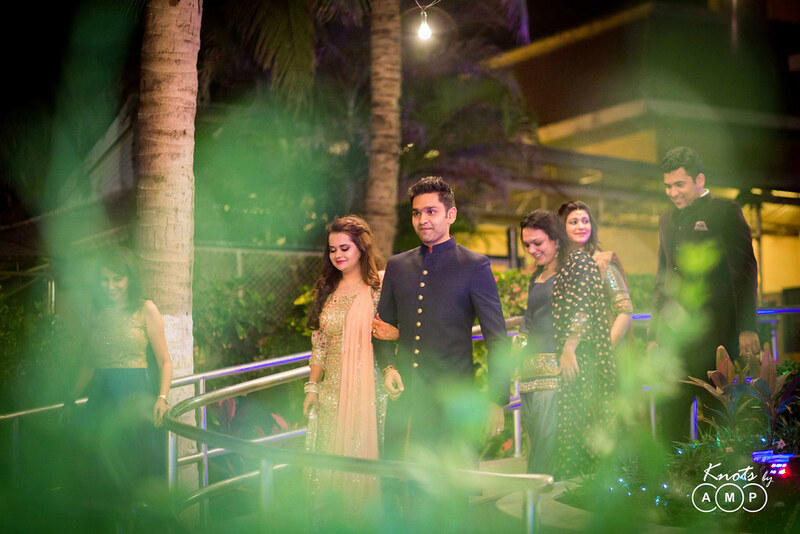 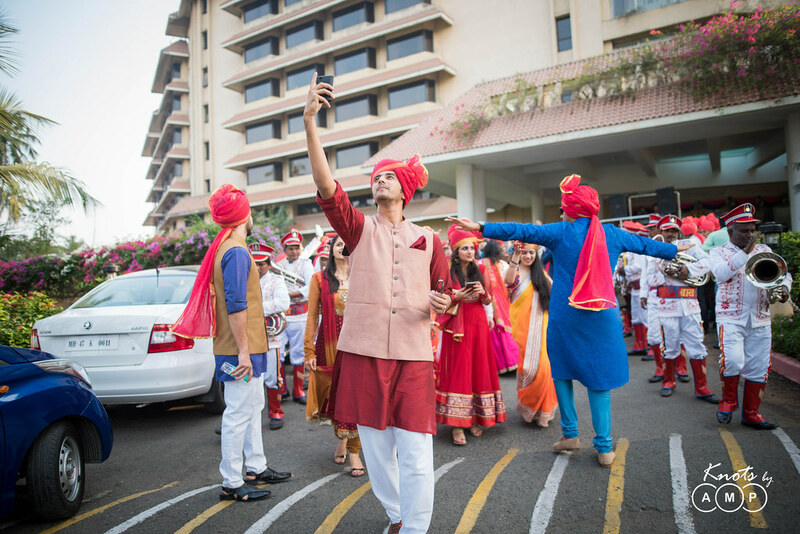 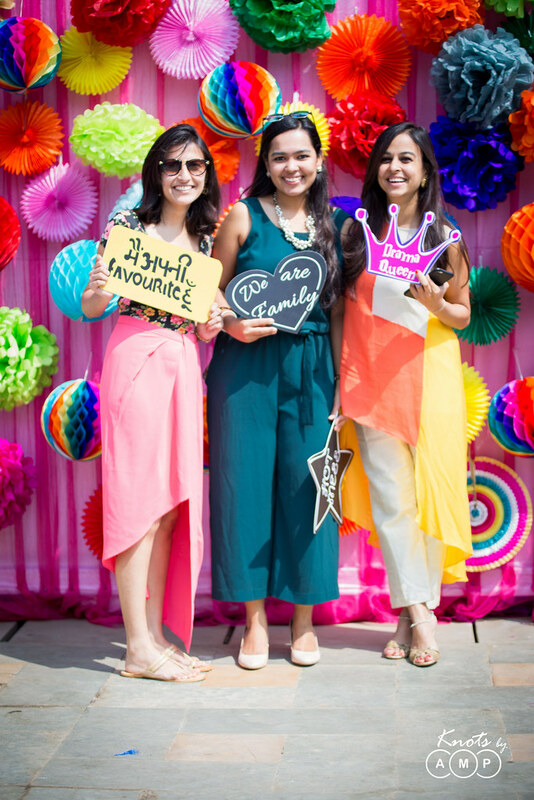 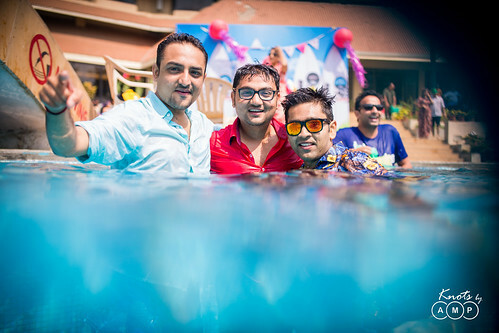 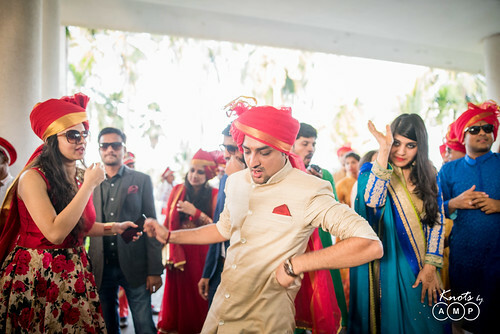 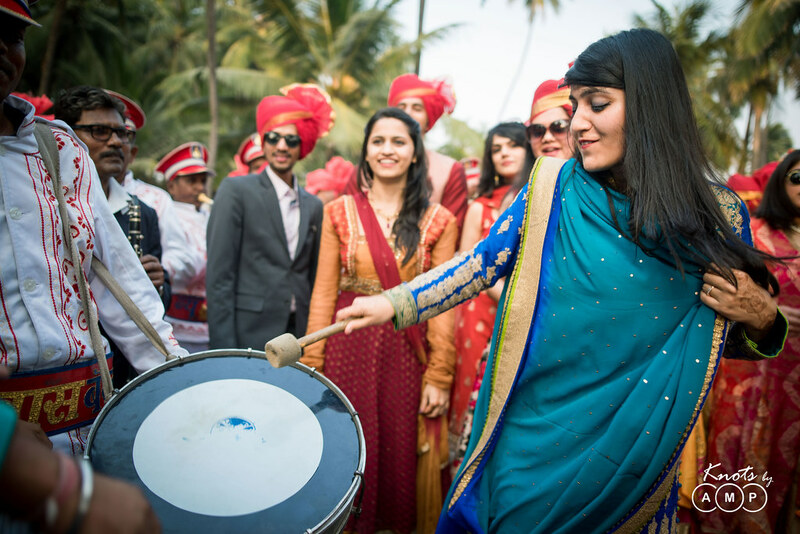 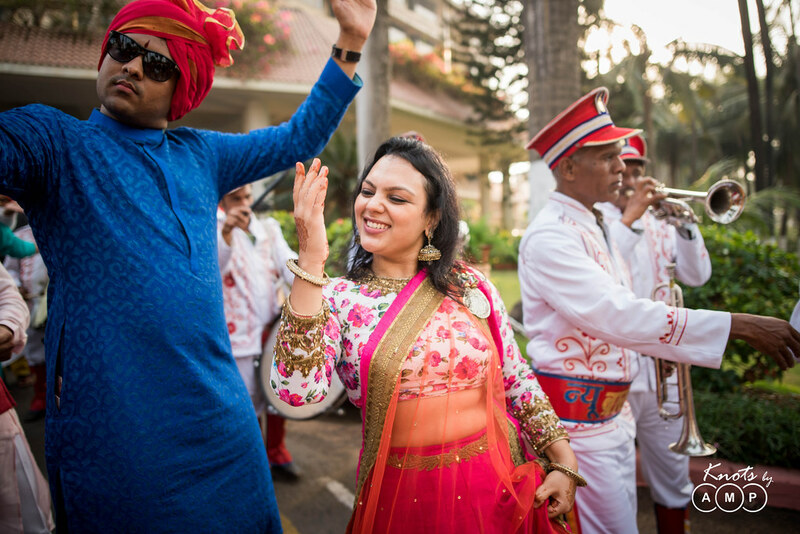 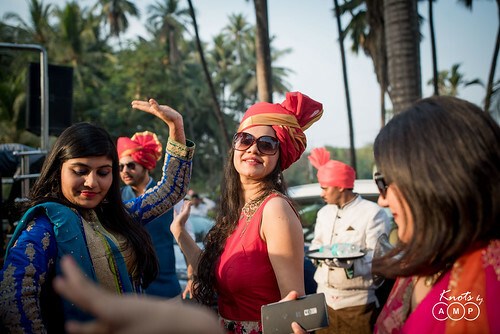 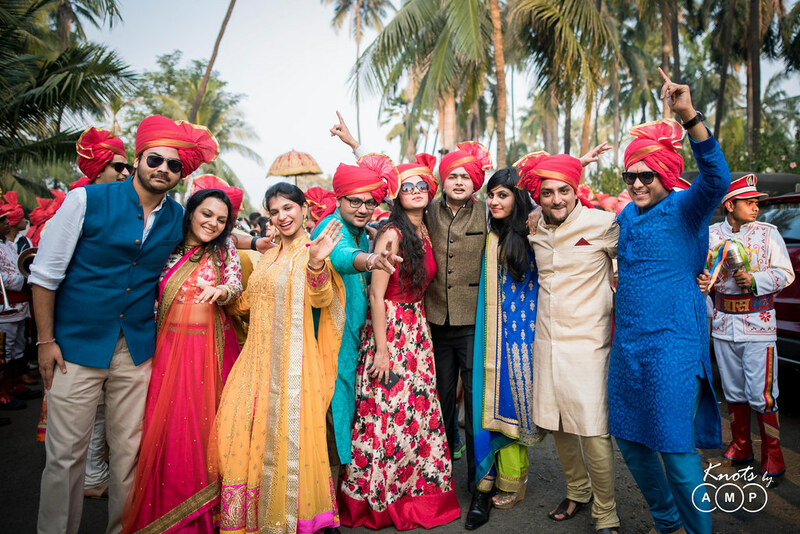 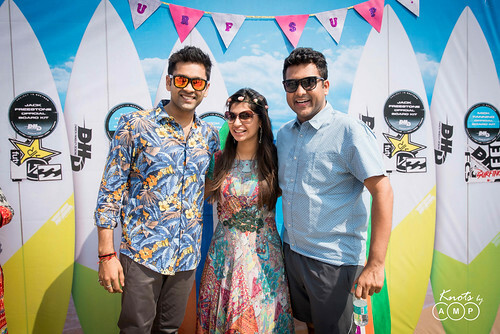 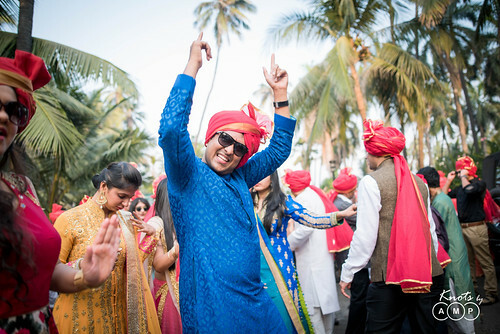 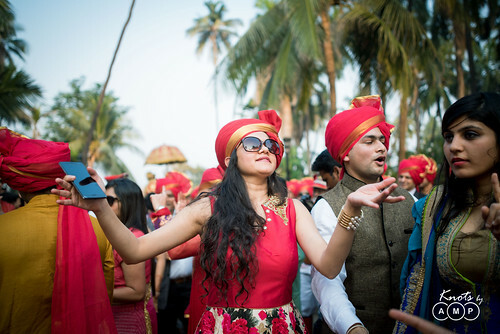 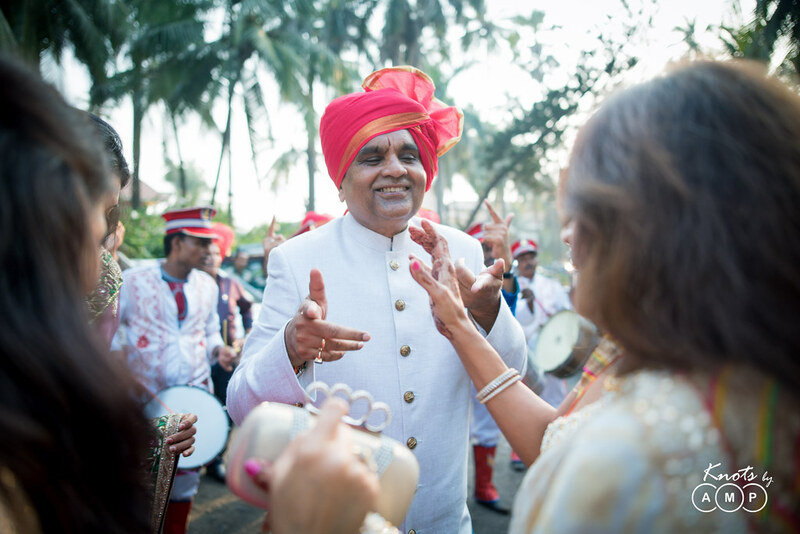 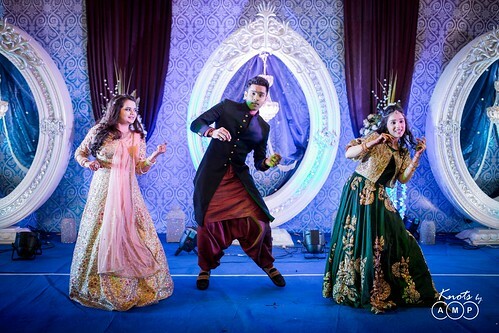 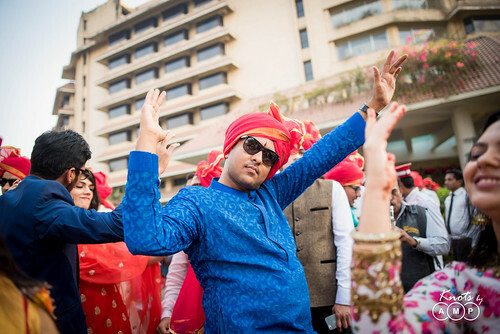 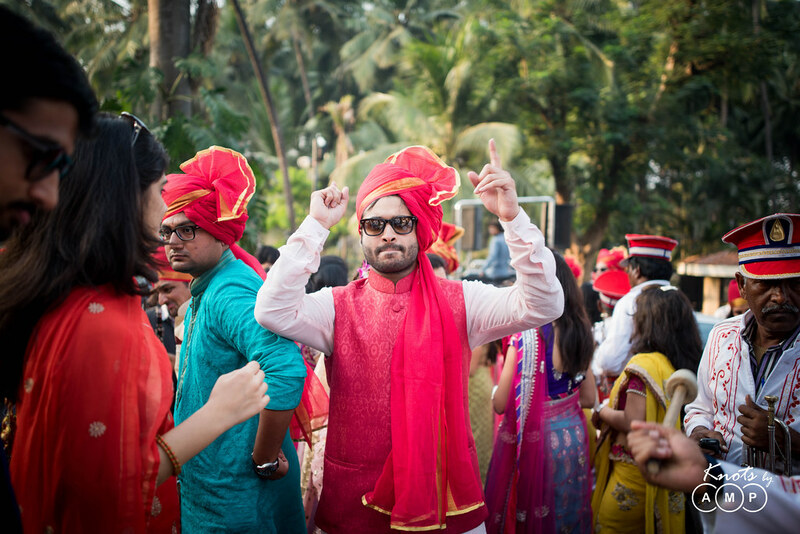 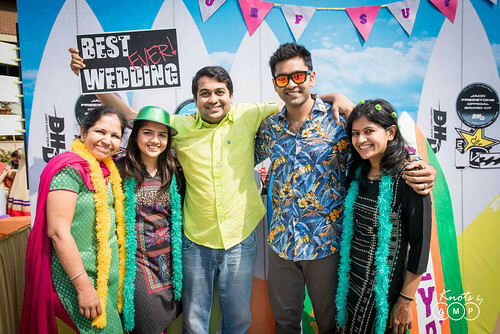 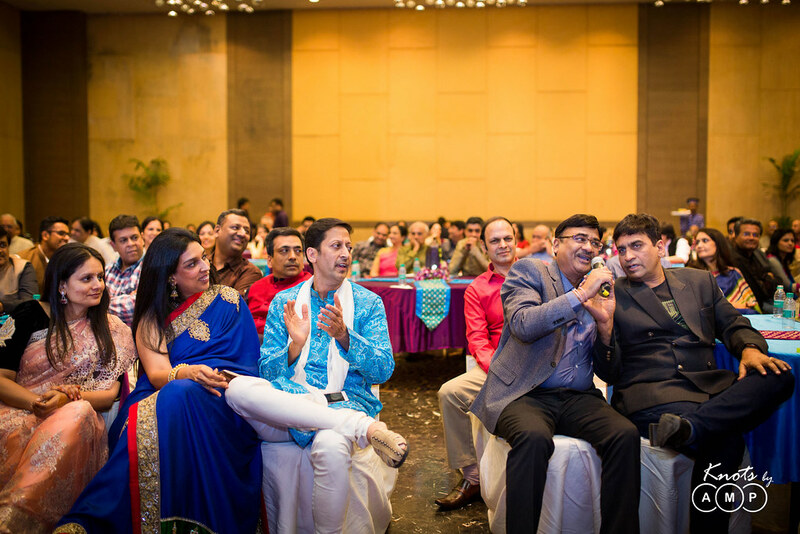 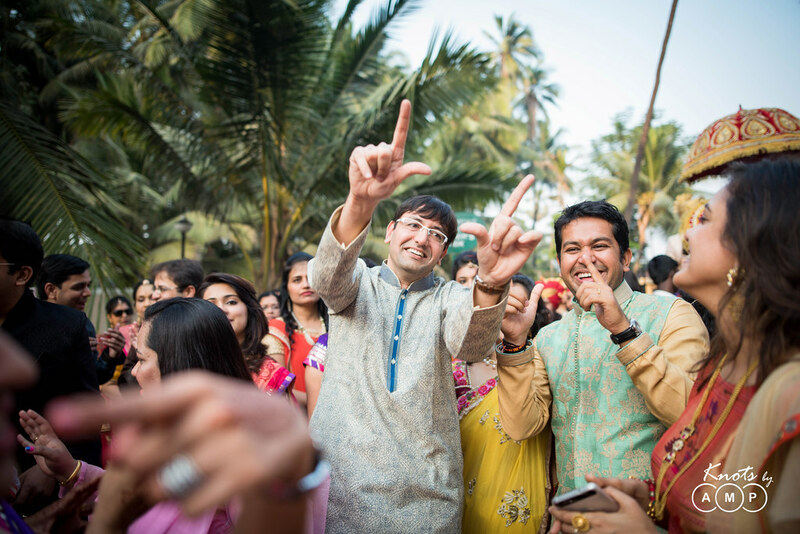 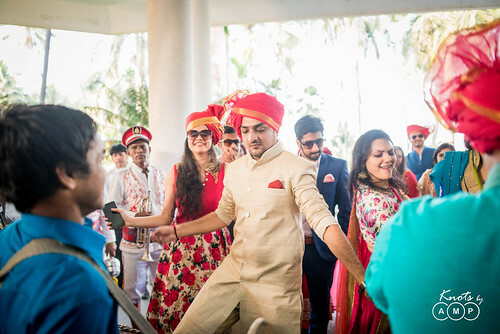 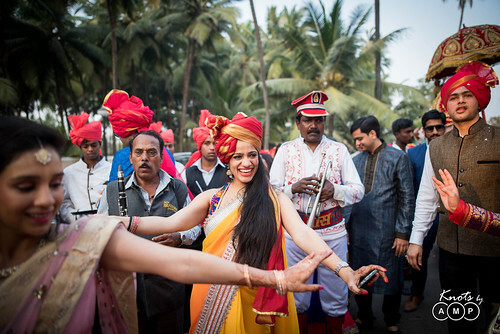 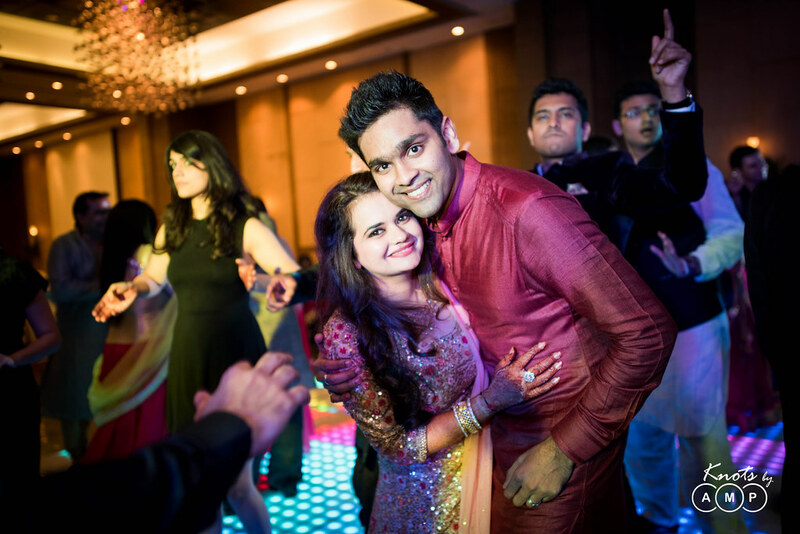 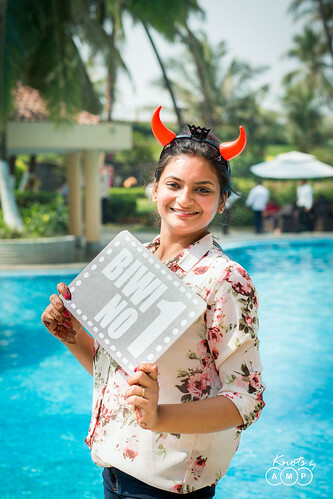 They wanted to have all their wedding functions at one location, have a grand celebration at a destination which was close to Mumbai and yet beautiful enough for their big fat wedding. 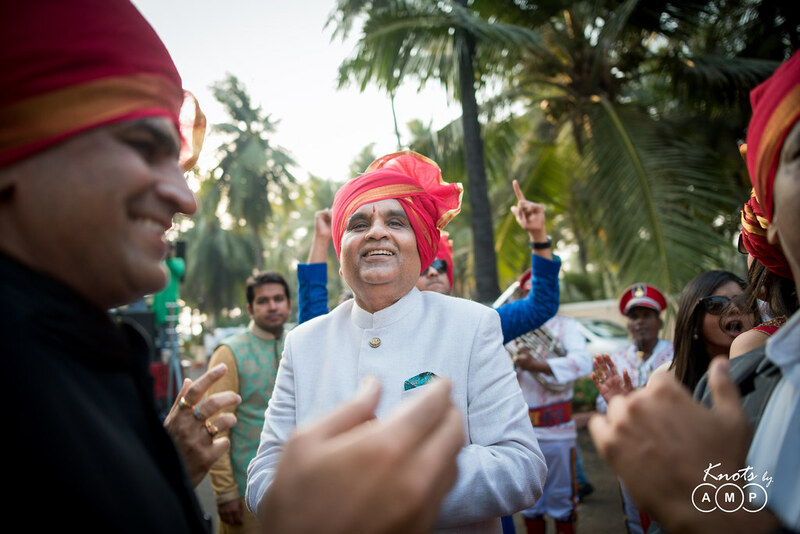 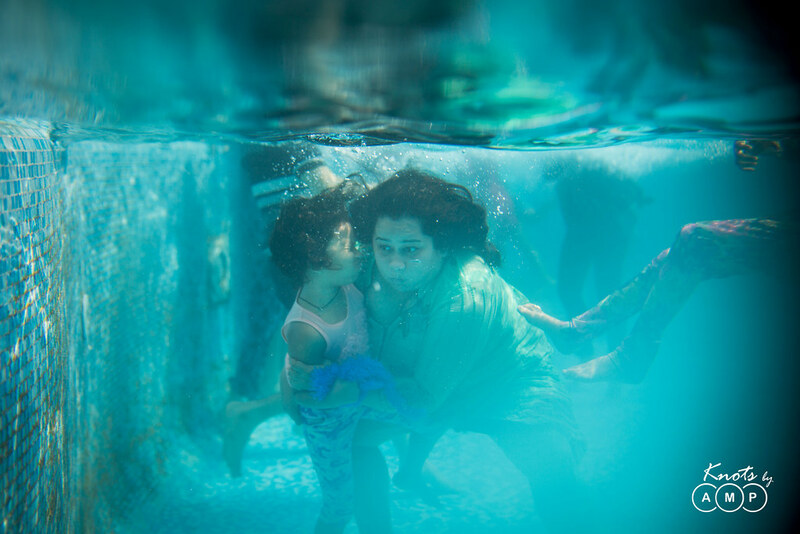 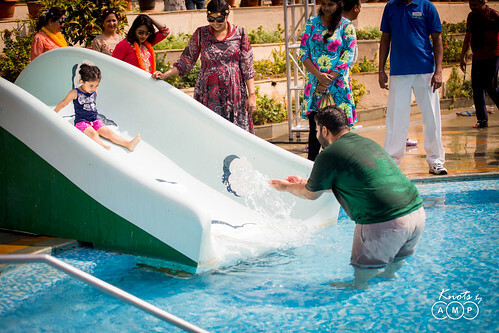 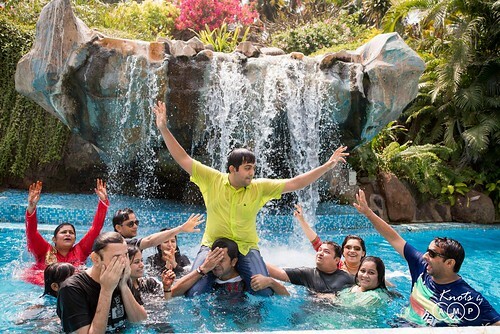 The Retreat Hotel and Convention Centre at Madh Island in Mumbai was the perfect place. 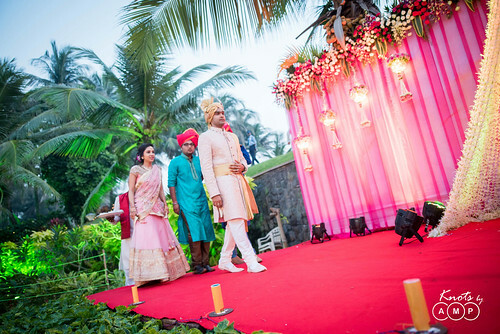 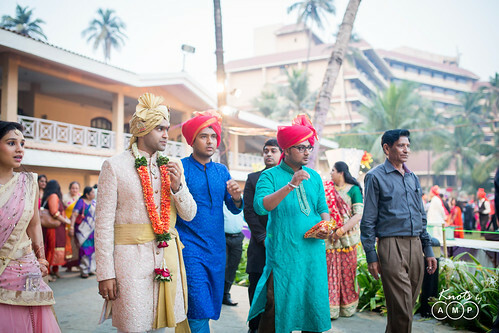 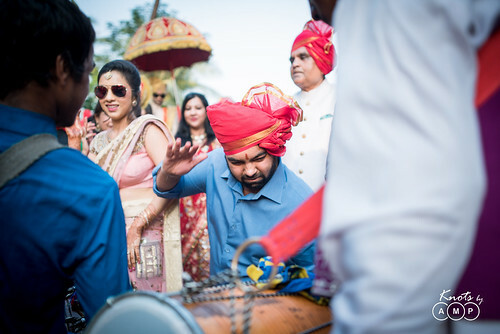 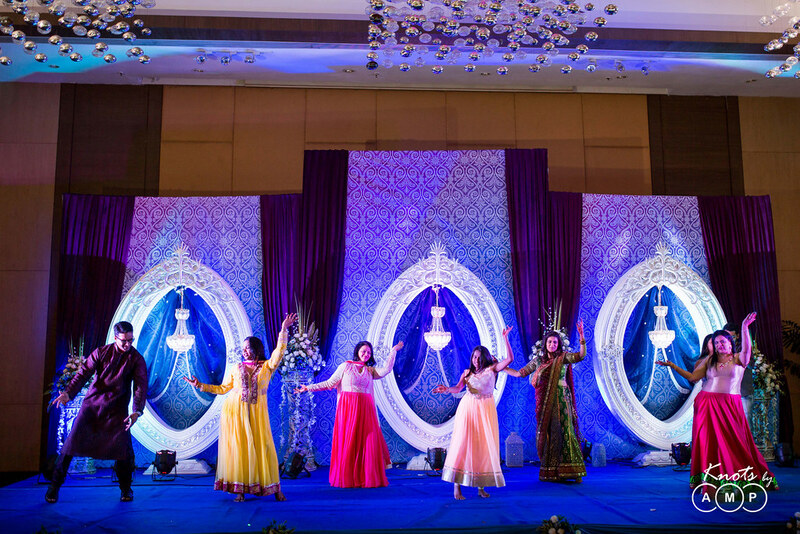 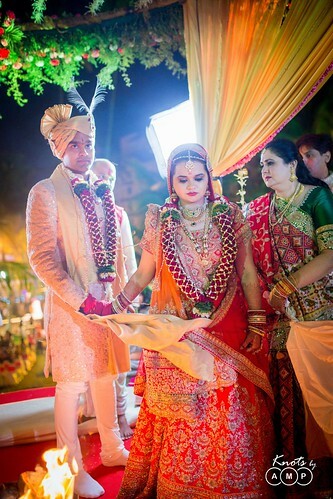 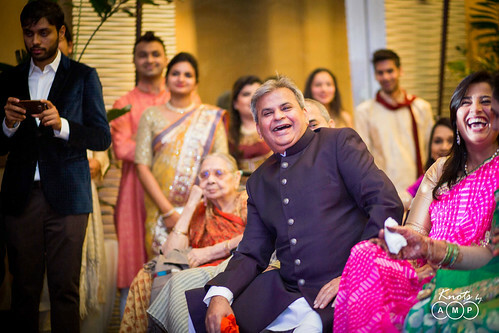 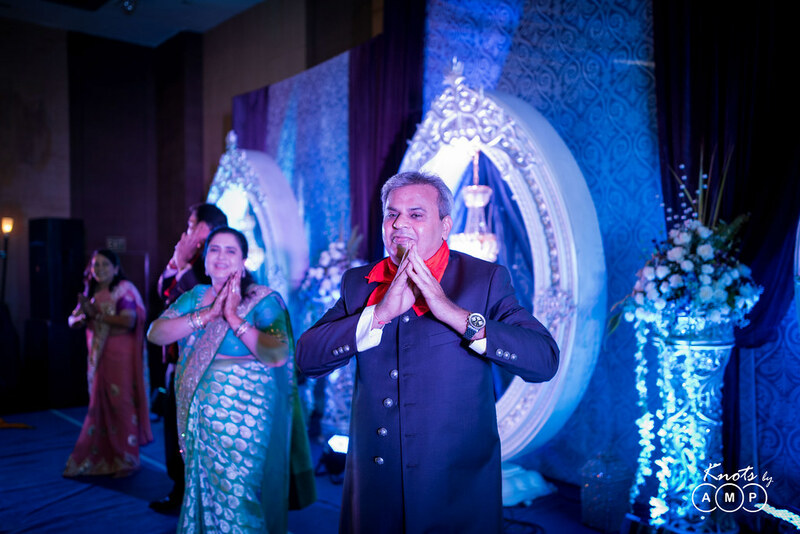 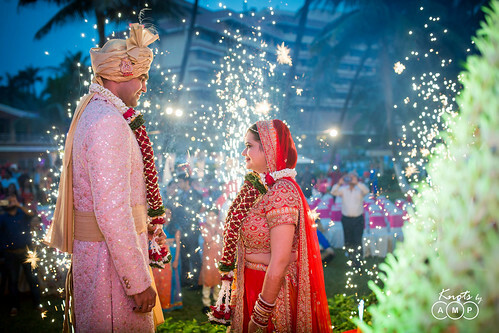 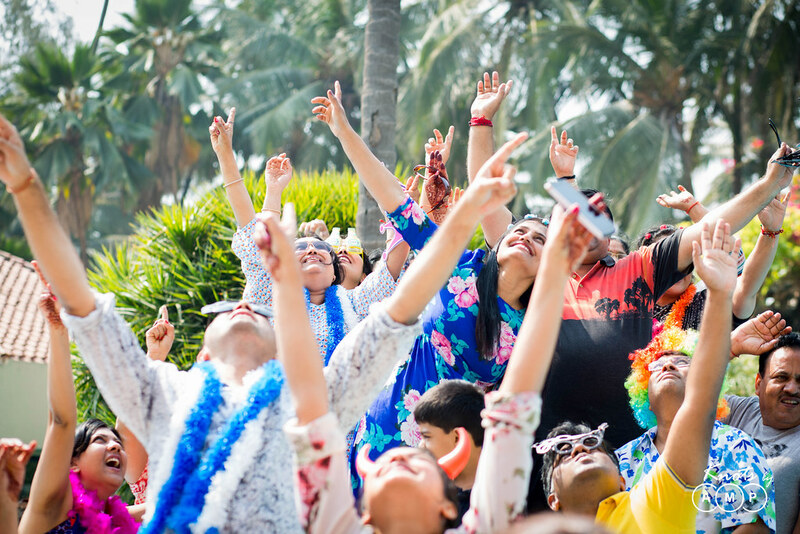 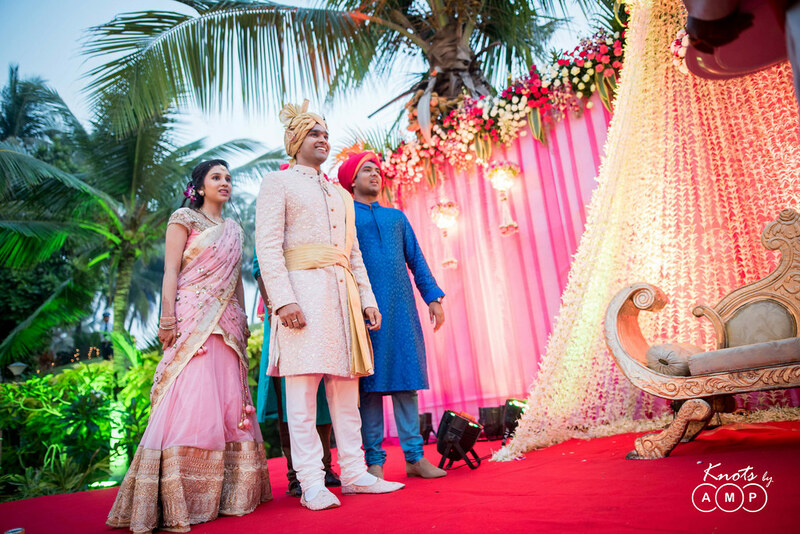 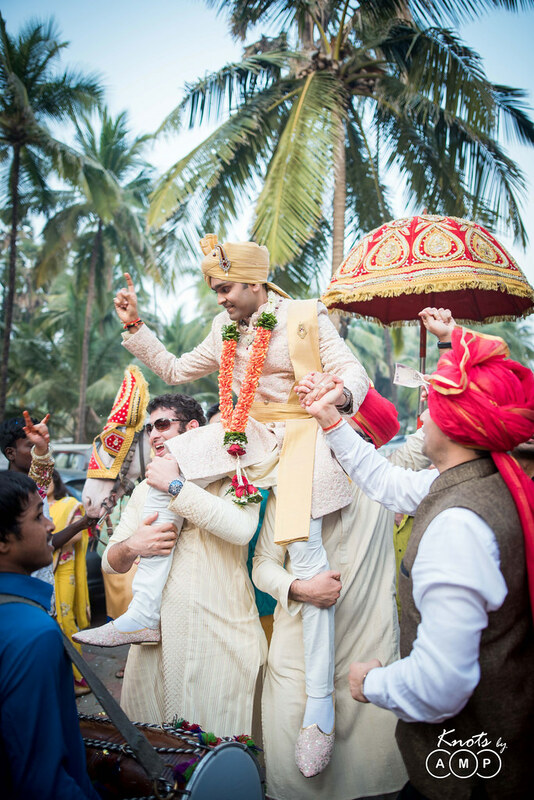 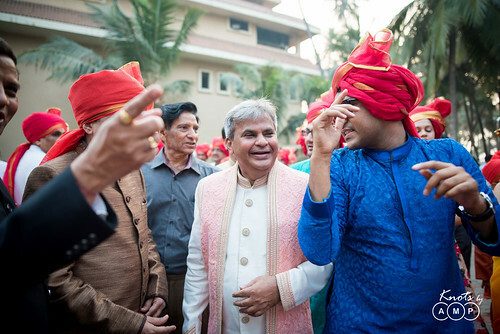 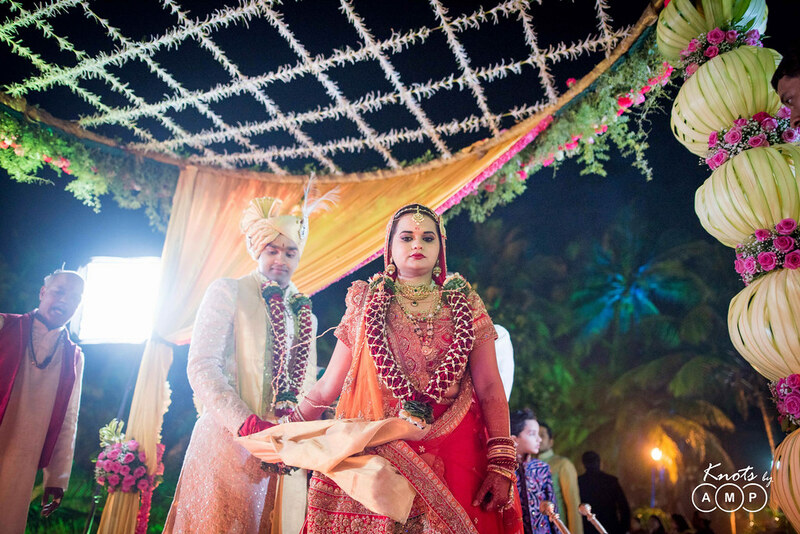 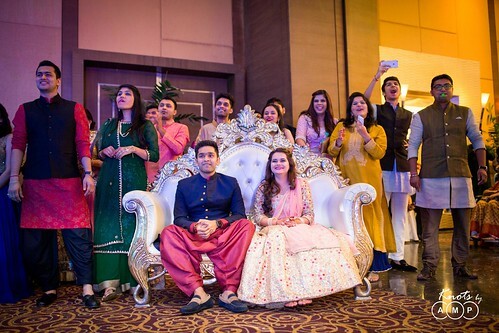 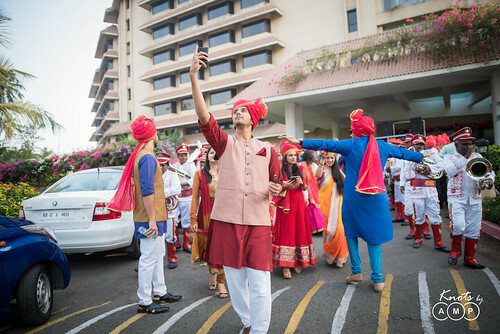 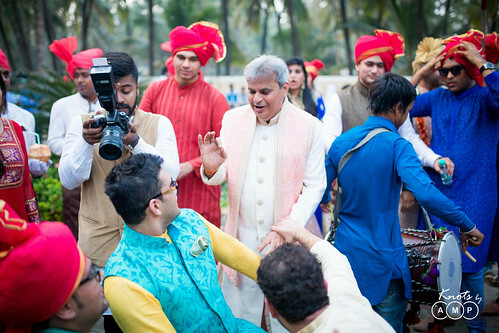 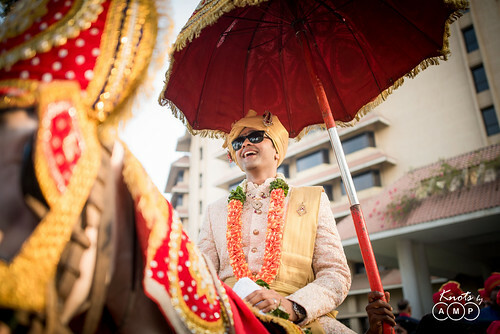 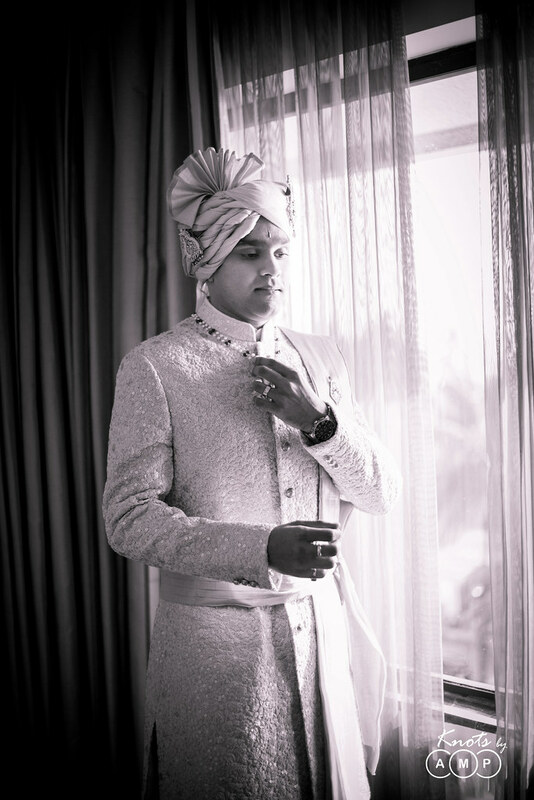 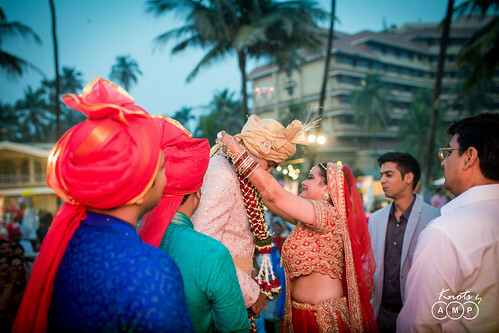 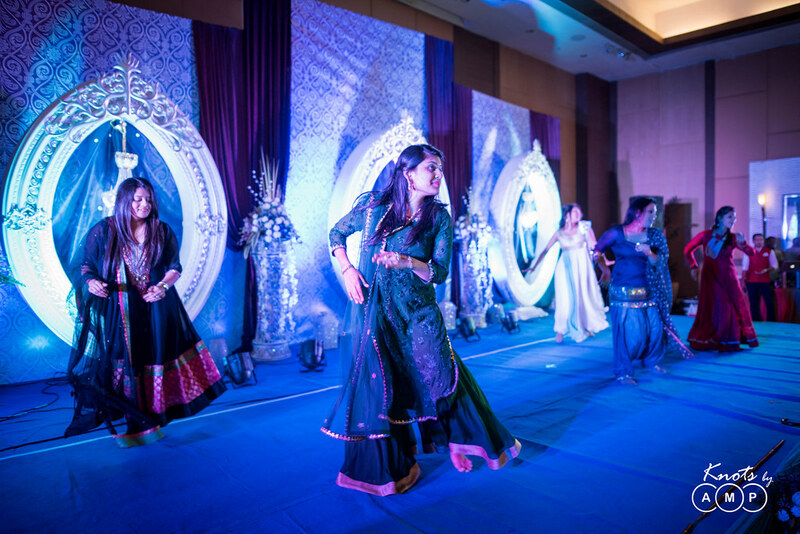 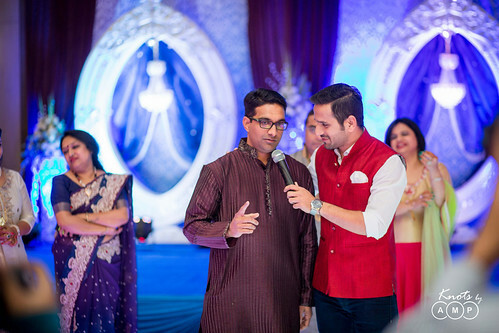 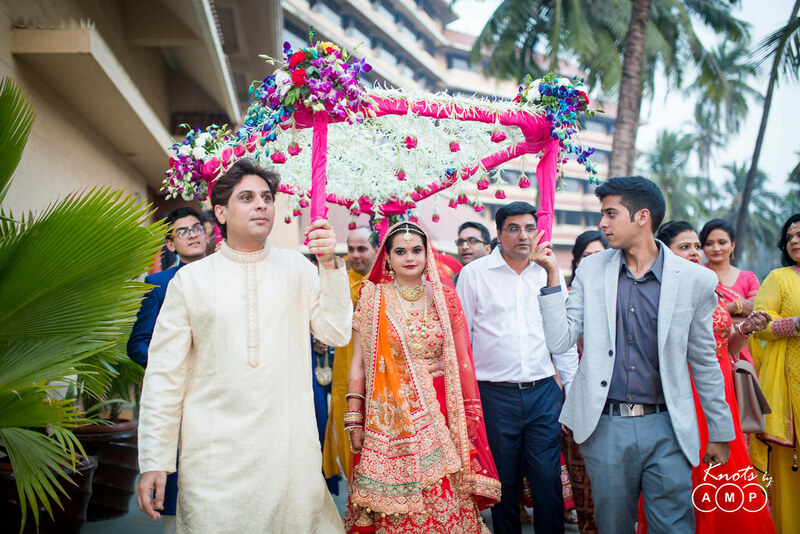 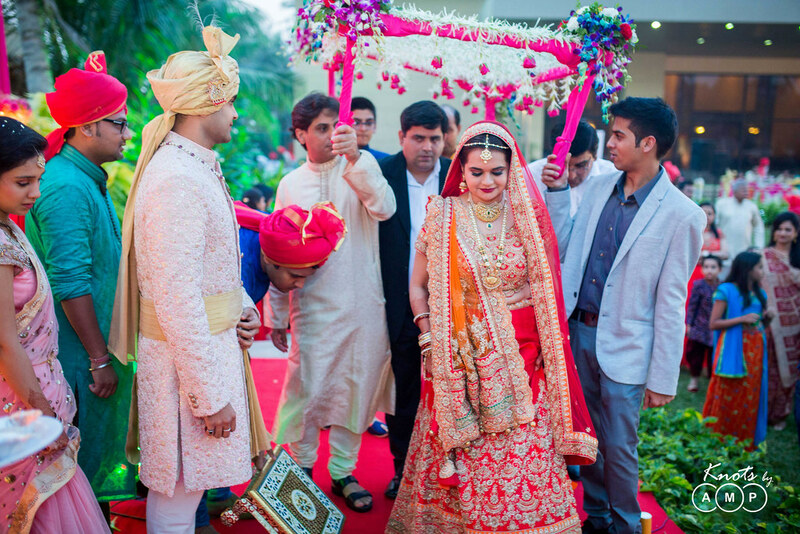 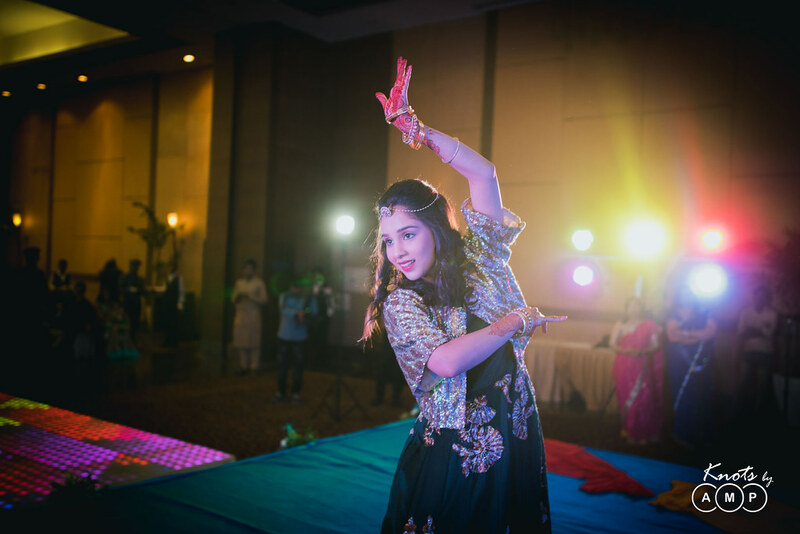 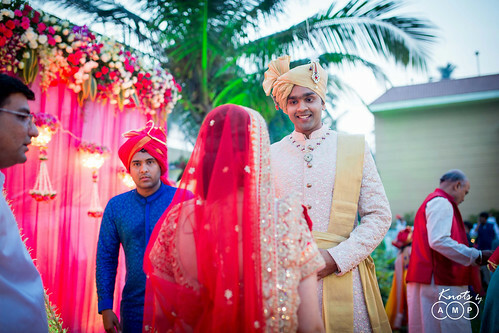 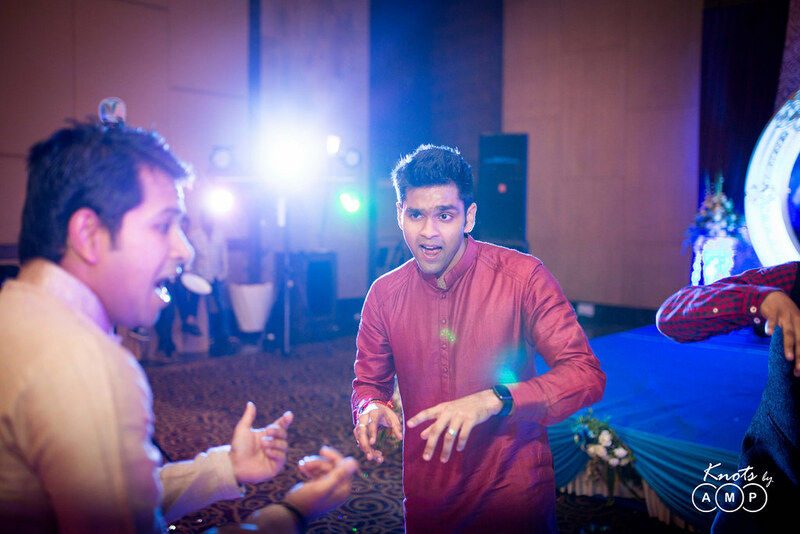 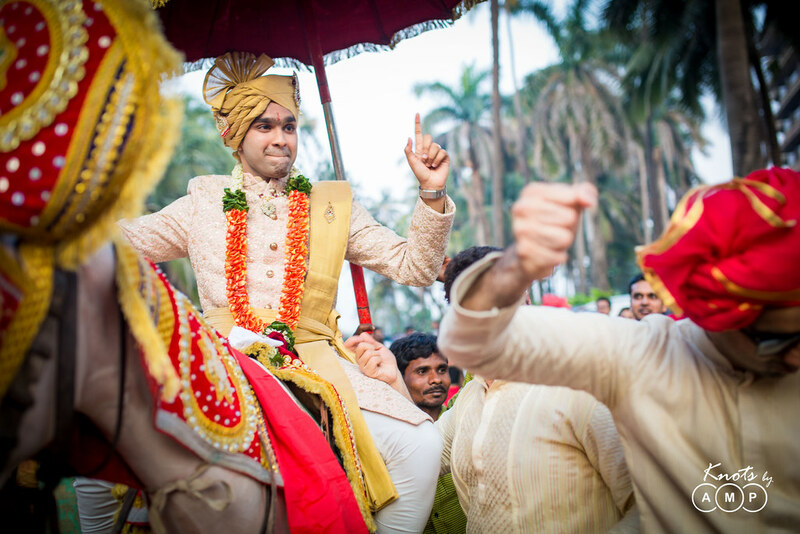 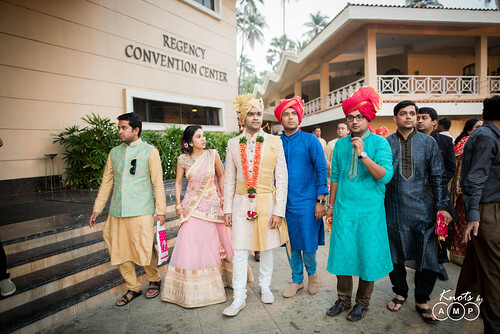 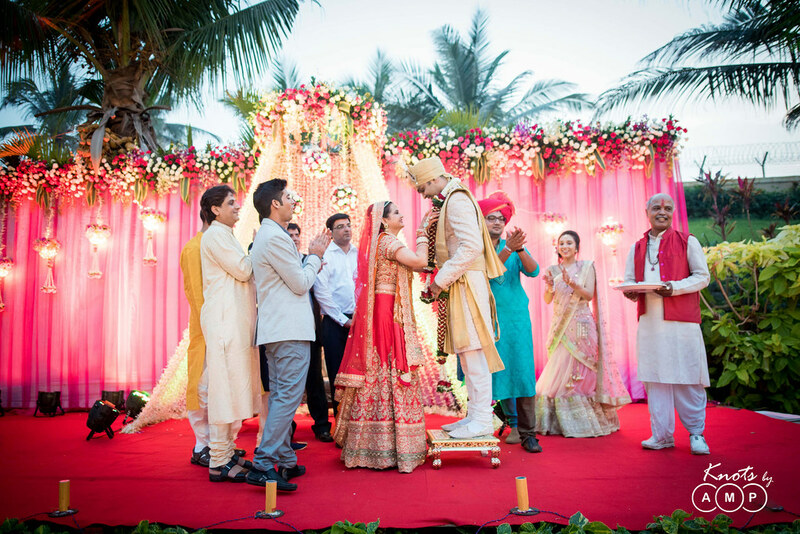 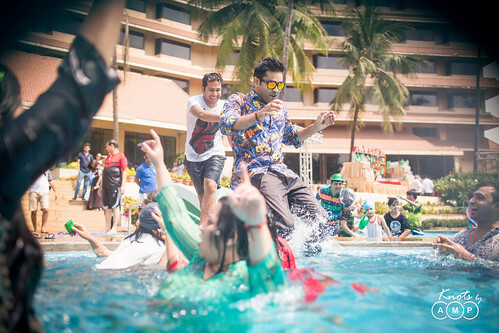 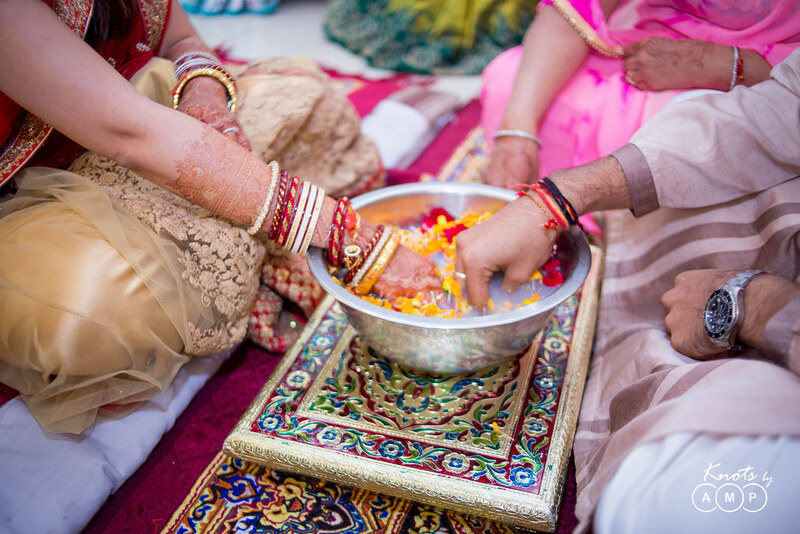 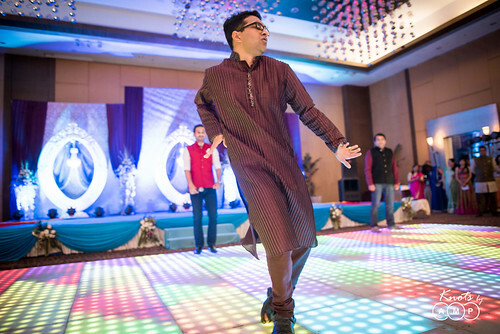 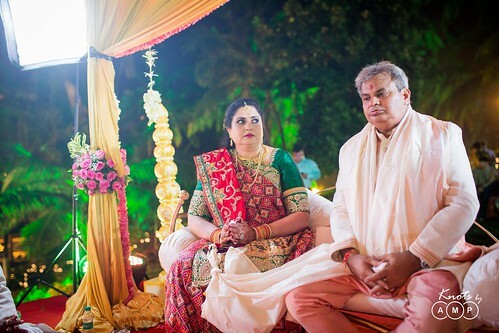 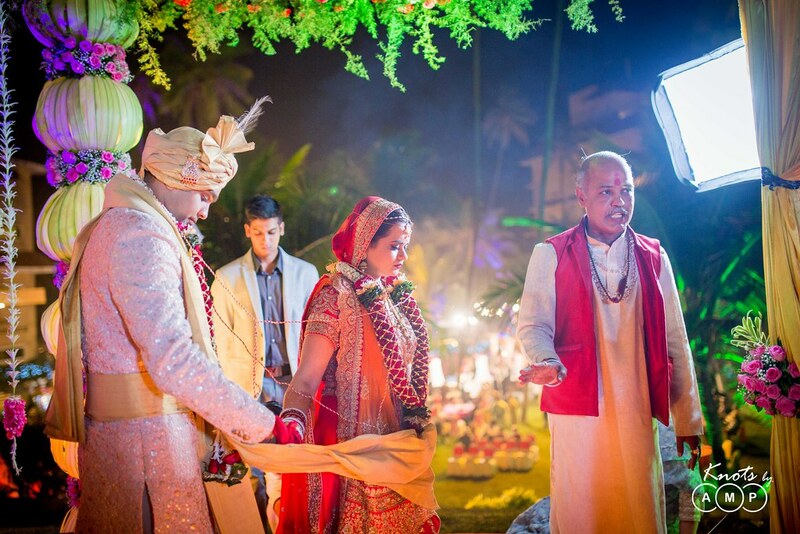 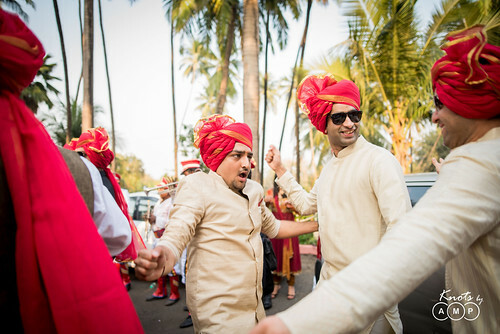 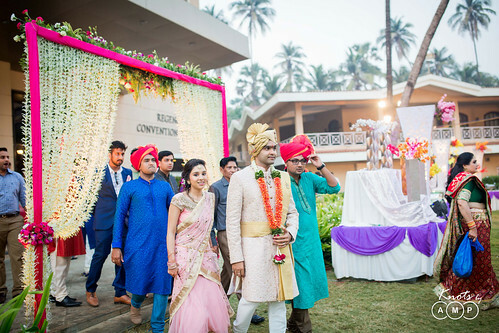 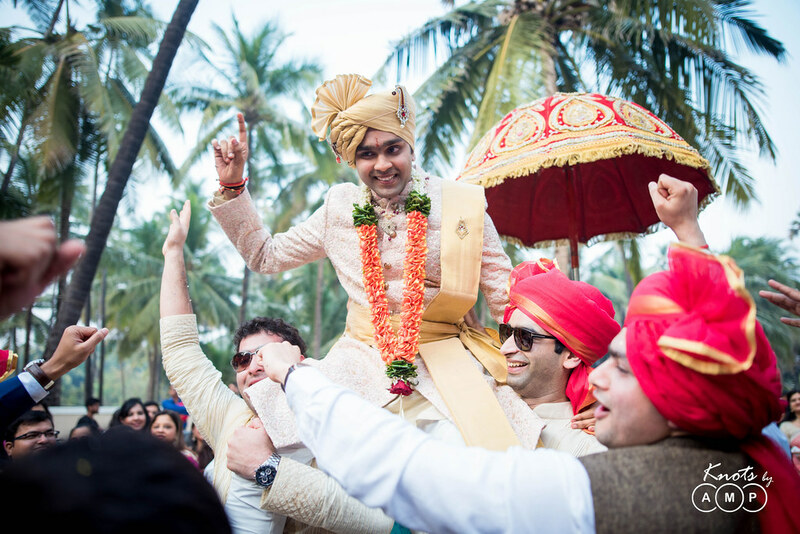 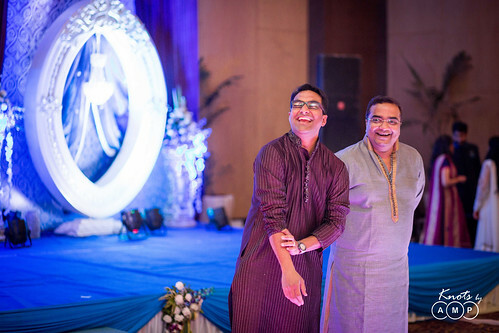 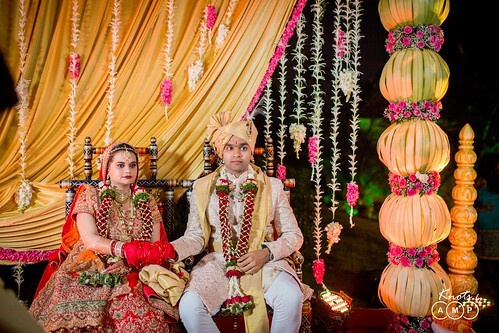 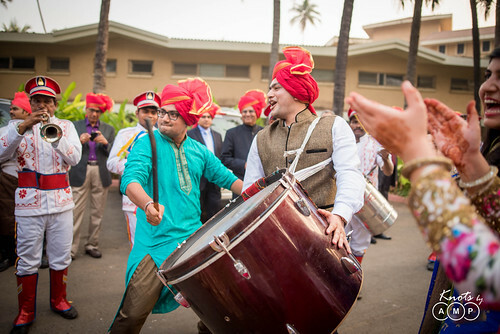 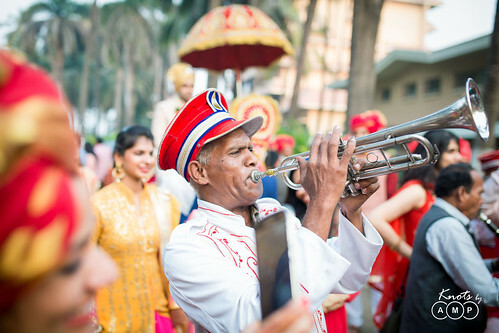 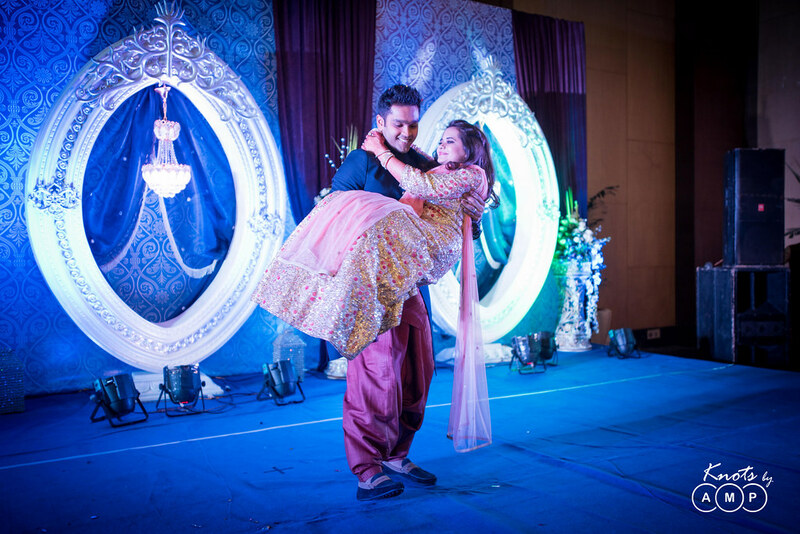 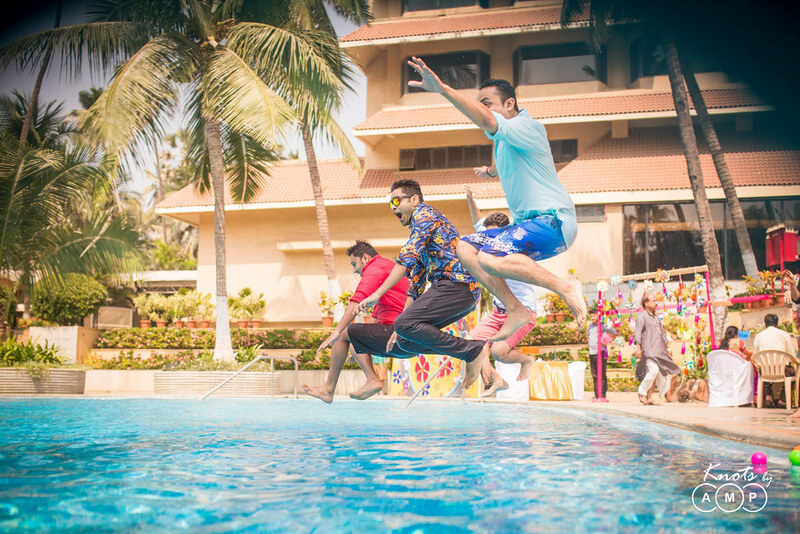 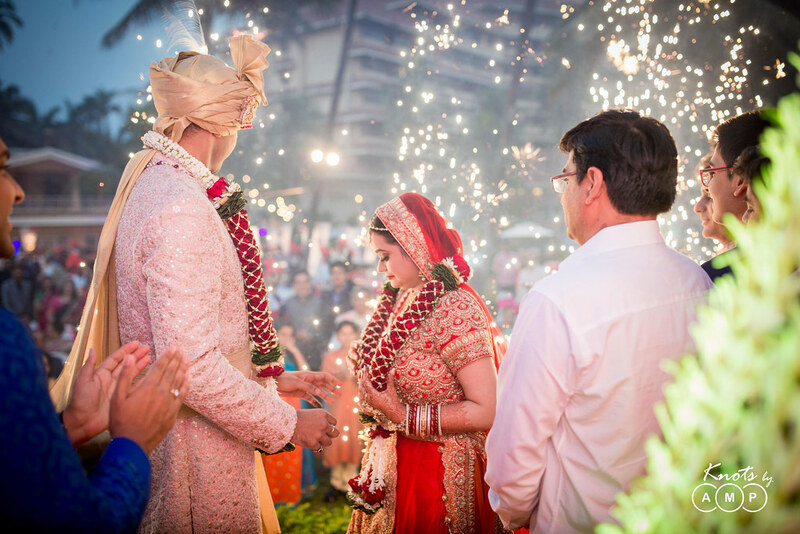 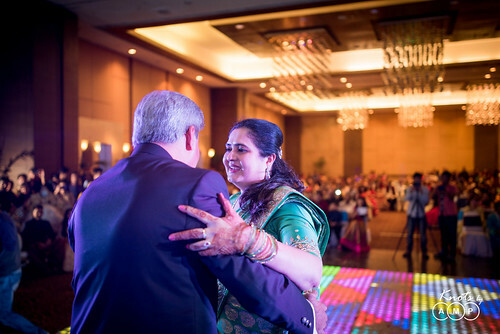 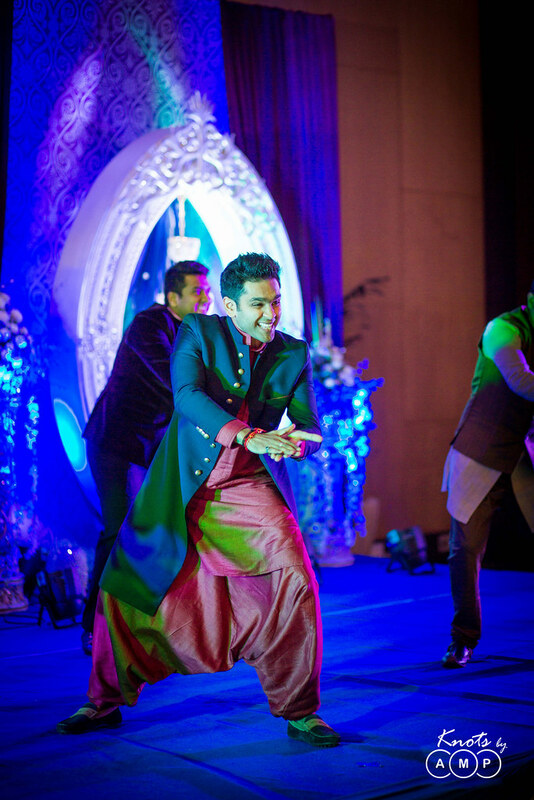 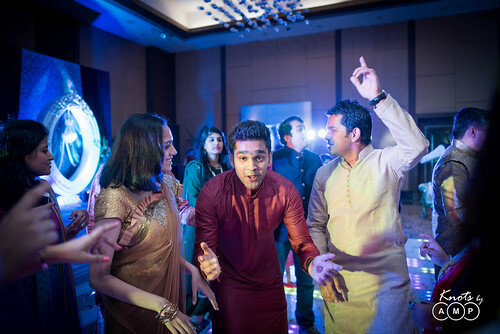 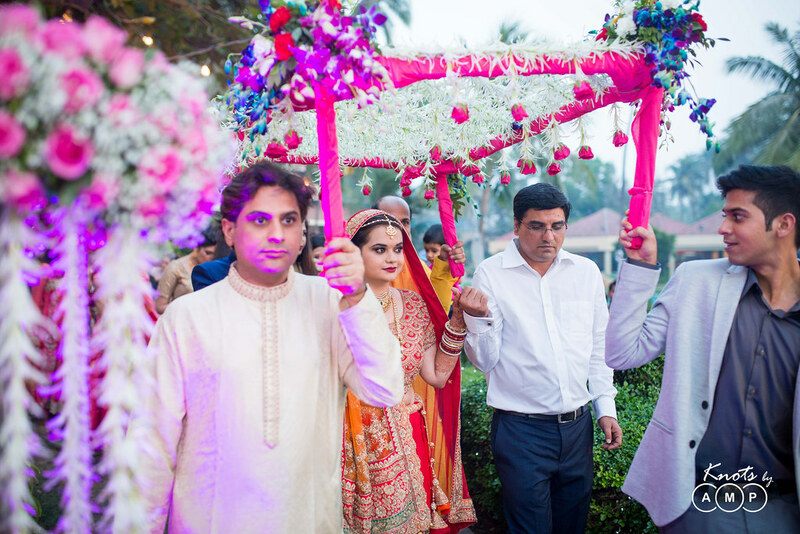 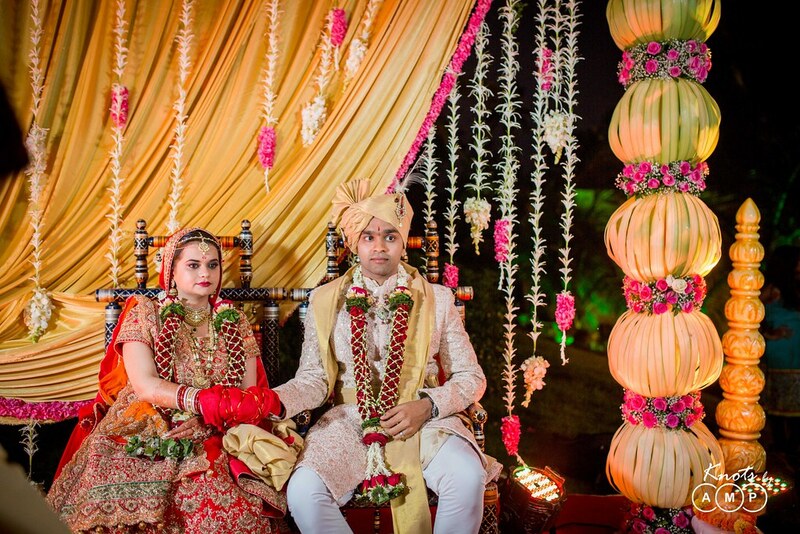 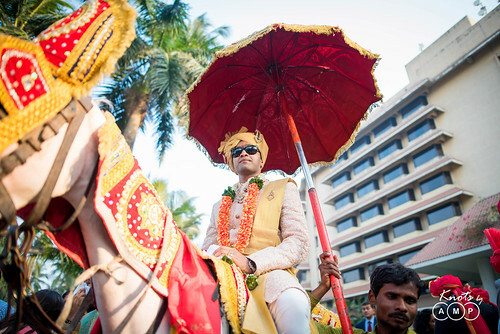 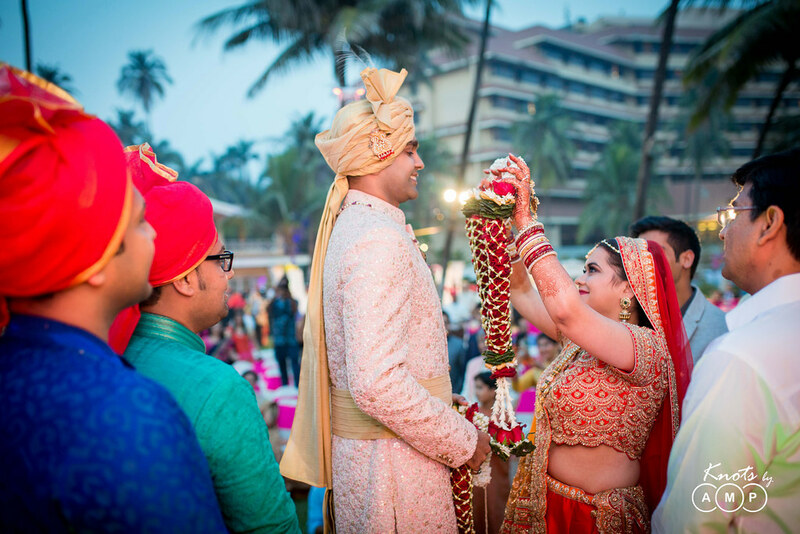 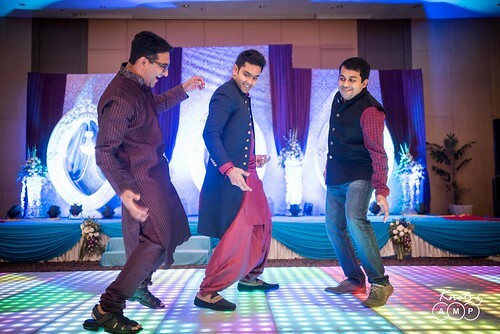 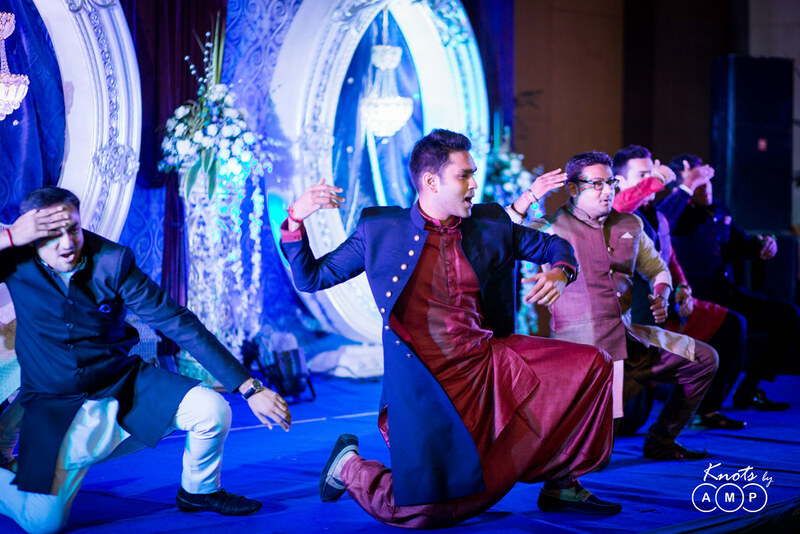 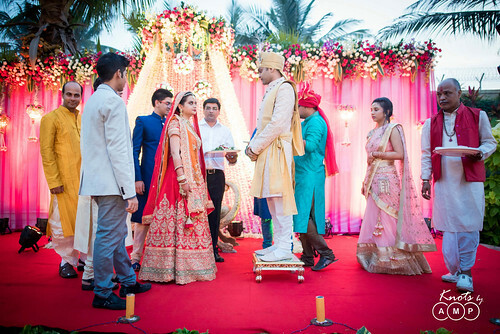 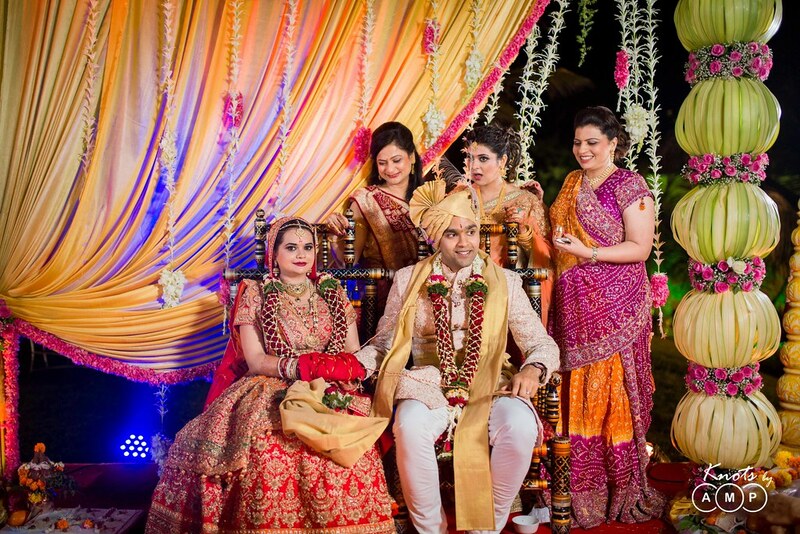 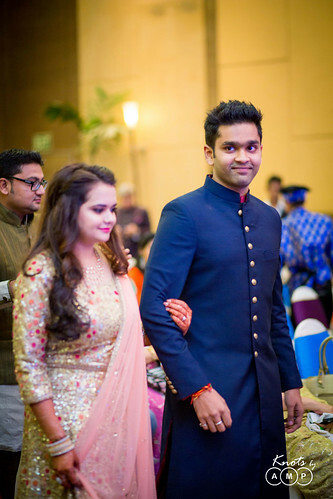 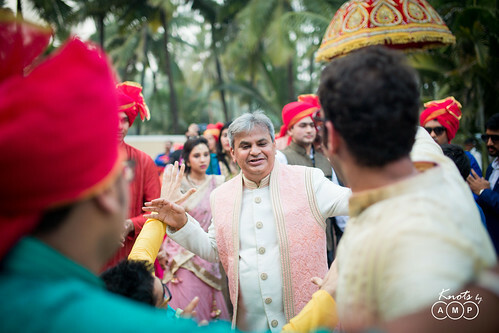 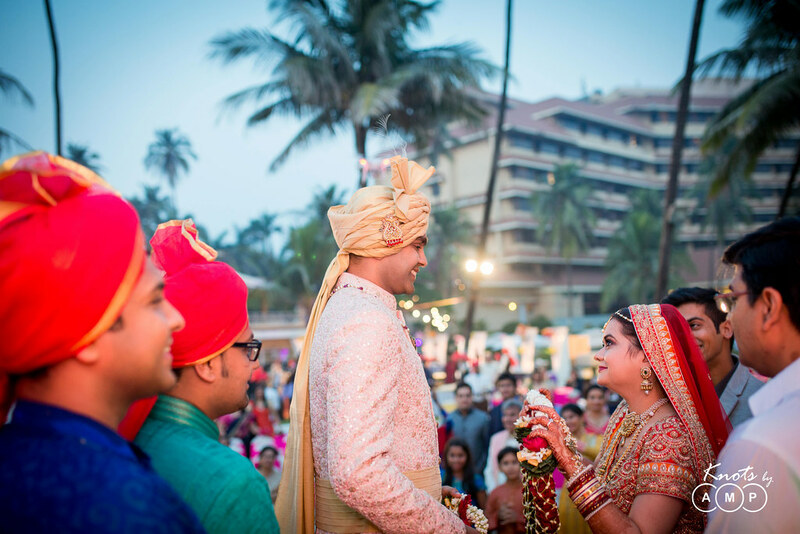 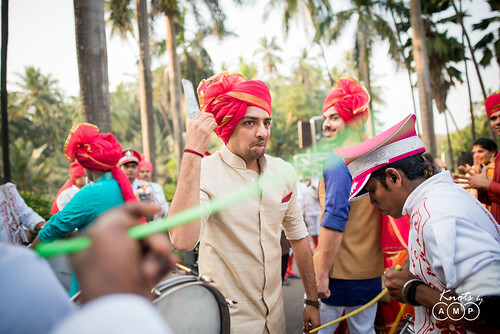 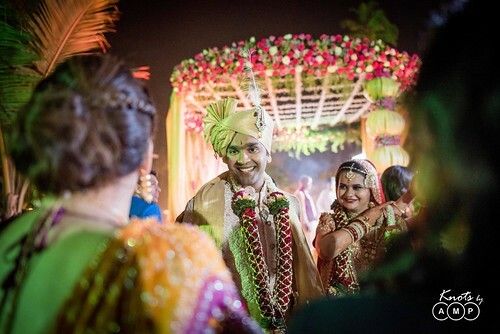 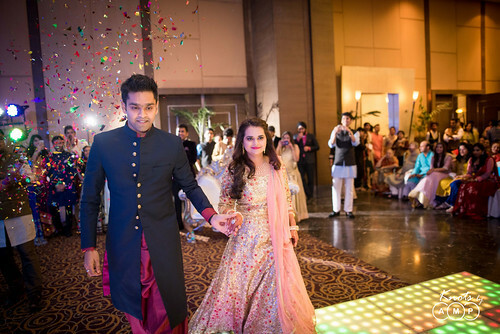 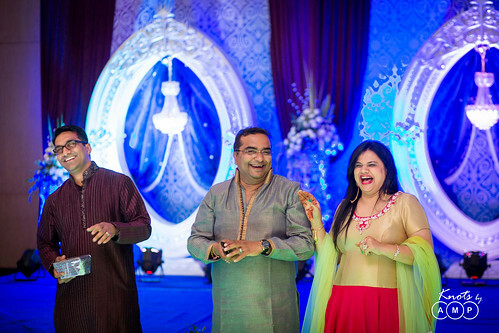 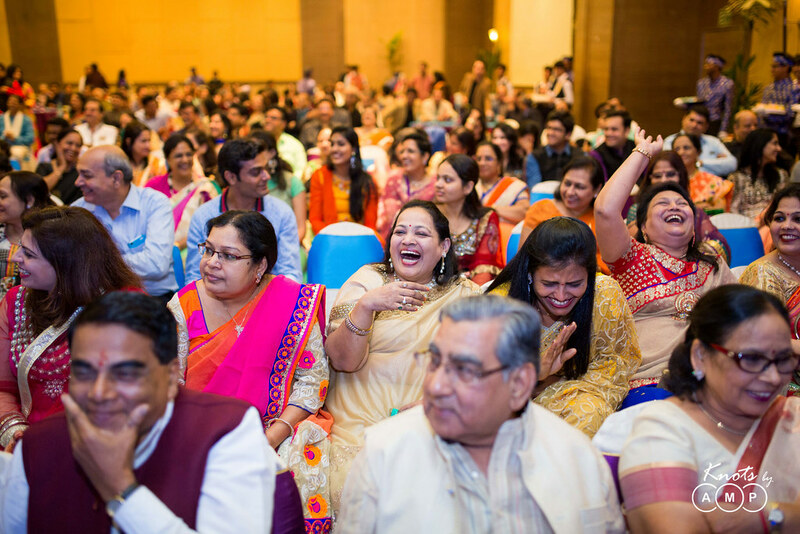 With a beautiful property located on the beach, a big pool, lovely gardens with dense palm trees, a big Convention Centre, and the luxury to have baraat inside the hotel gates made it the most coveted location. 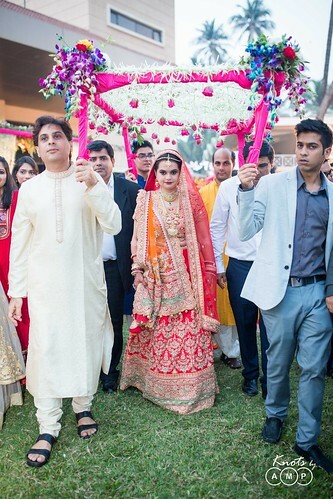 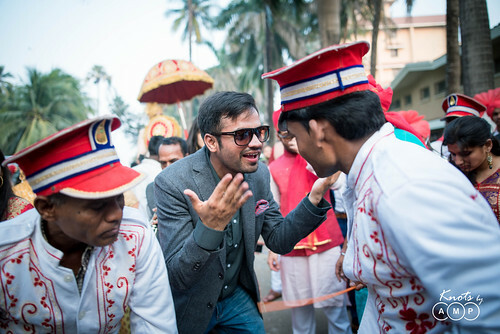 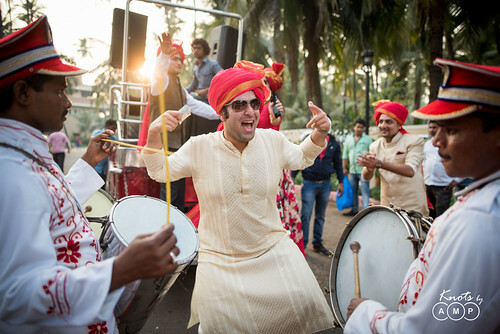 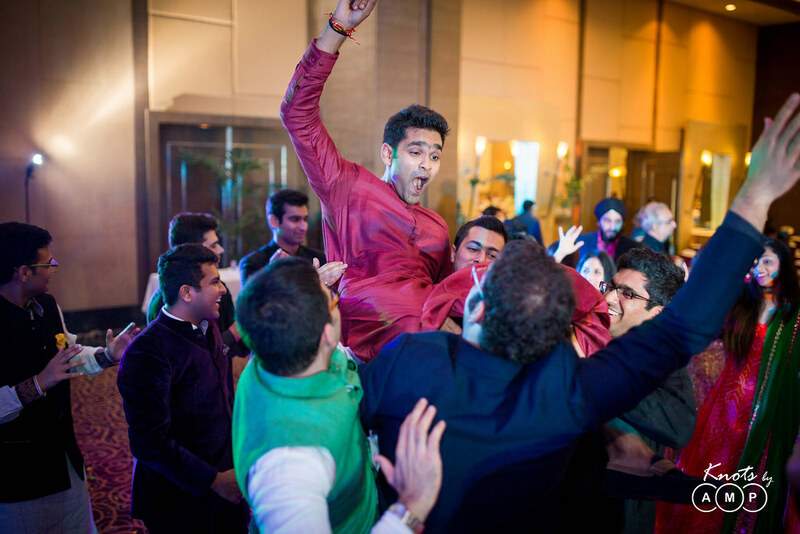 As of now, most 5 star hotels and clubs often don’t allow Baraat to take place in their compound. It was the dream venue to get married and also for us to shoot at the same time. We had done a pre-visit to the destination before their actual wedding in February 2016 so that our excution becomes easier. 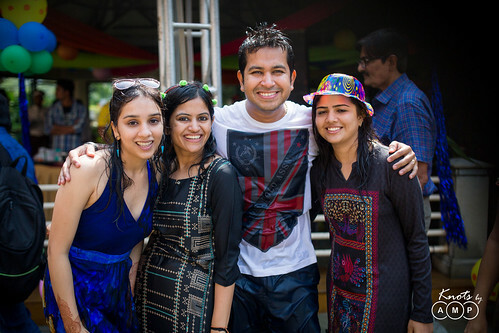 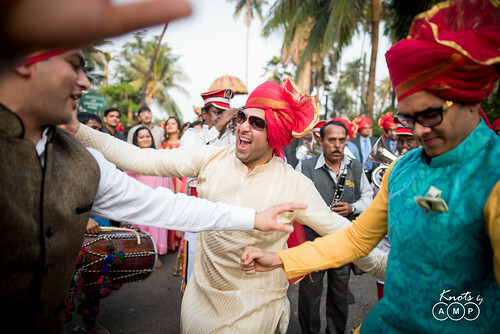 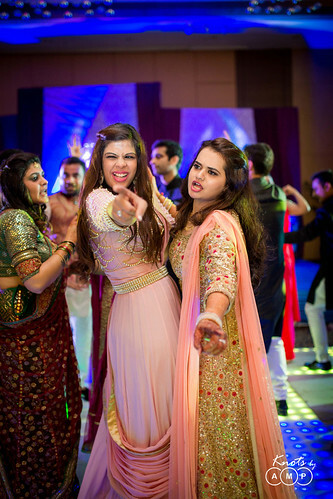 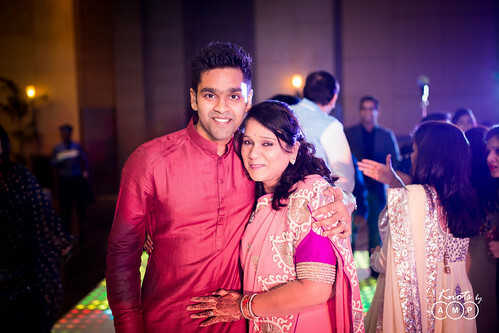 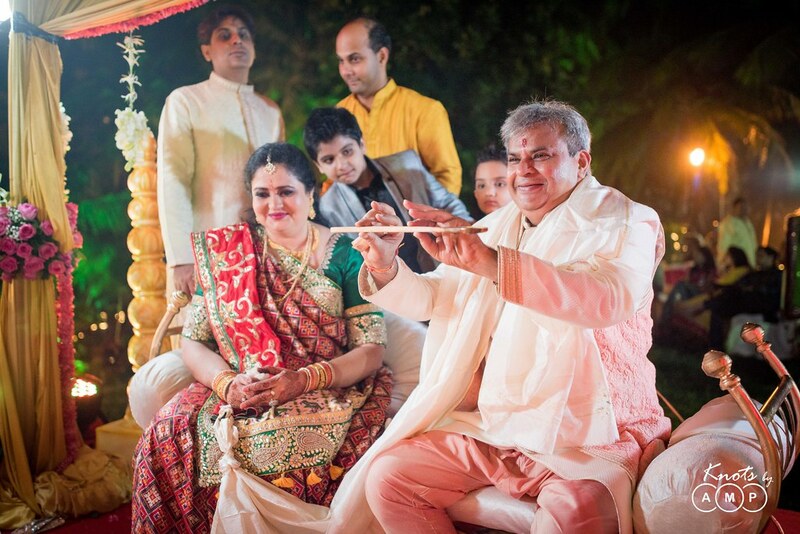 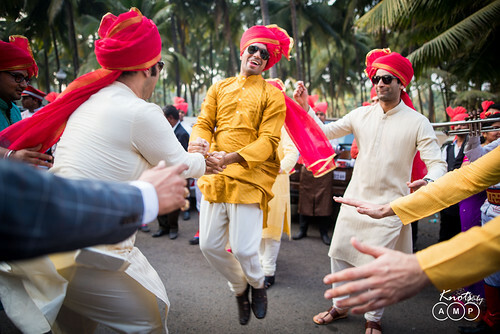 The wedding celebrations spread across 2 full days. 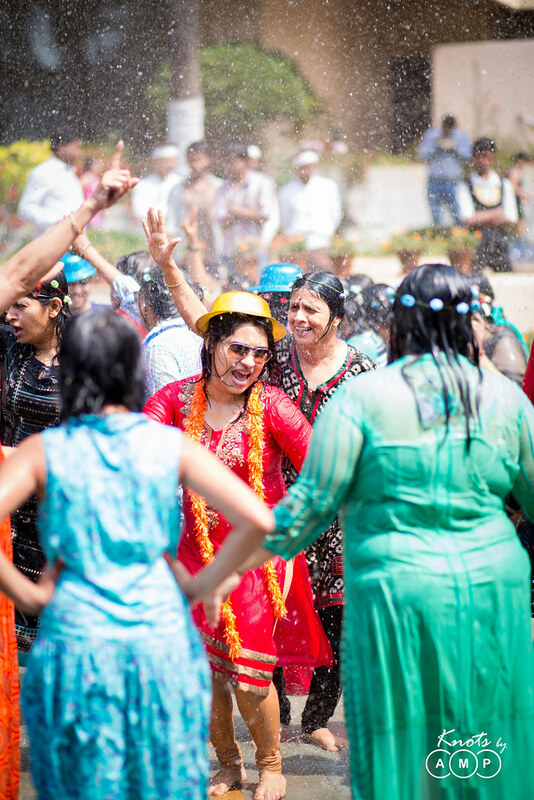 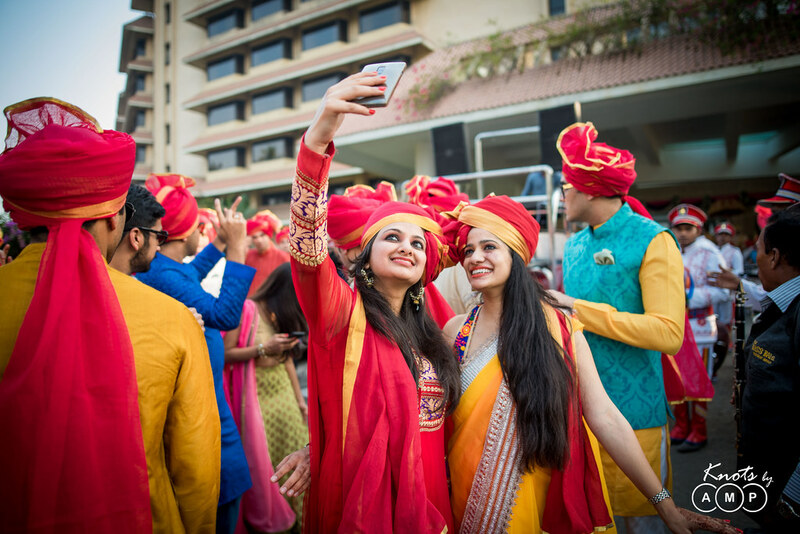 The first day was marked with Myra and Mehandi and the second day started with Haldi function of the bride and groom and then a great pool party in the afternoon. 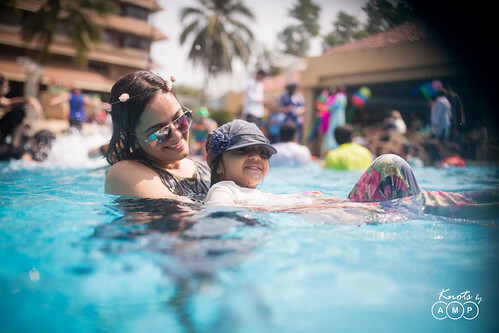  We had a great time in covering some great shots of the splash, plunge and the unlimited fun at the pool. 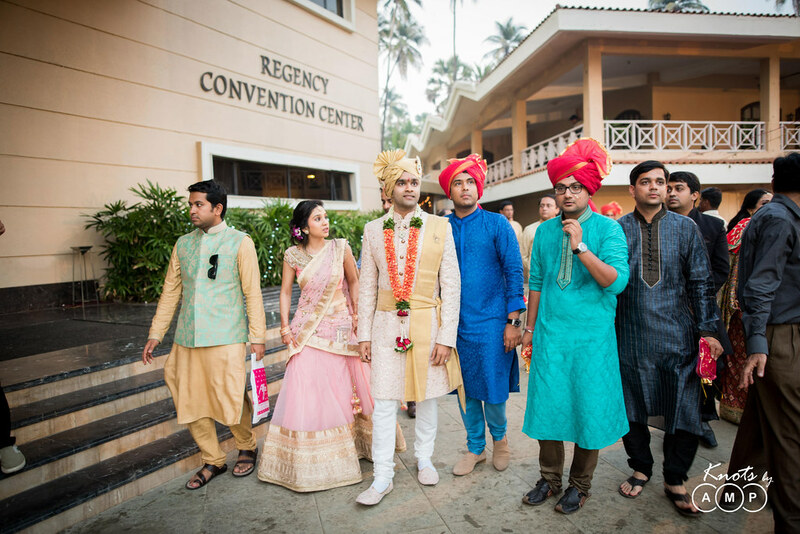 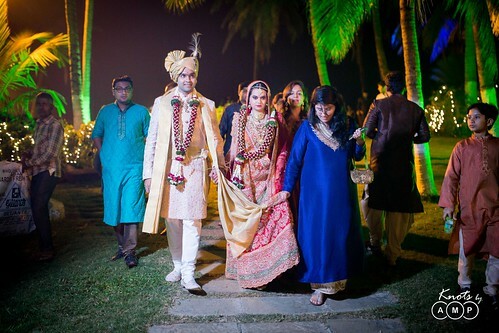 After the pool party the groom and bride got ready and Baraat started at 5 PM. 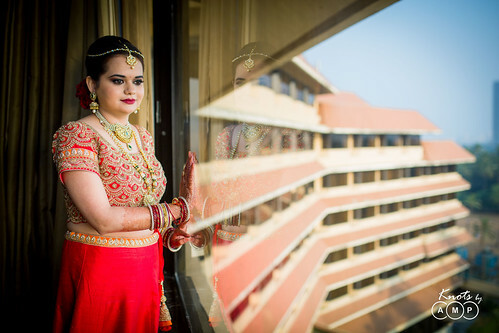 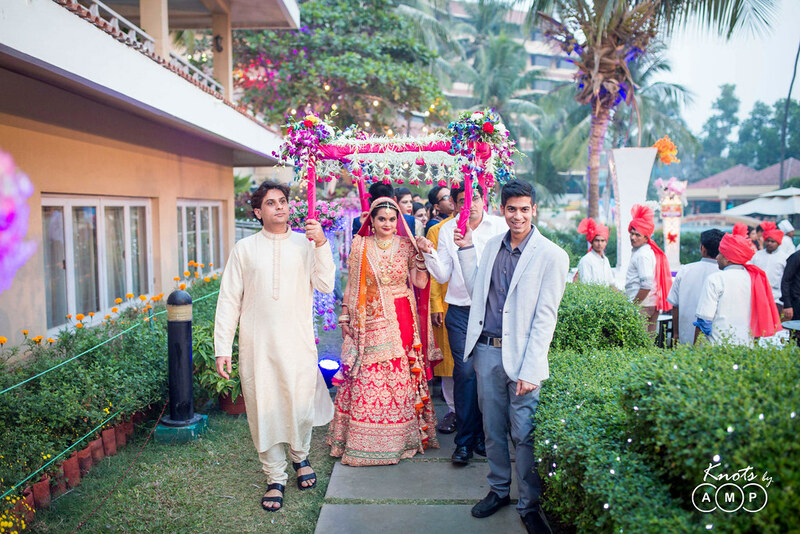 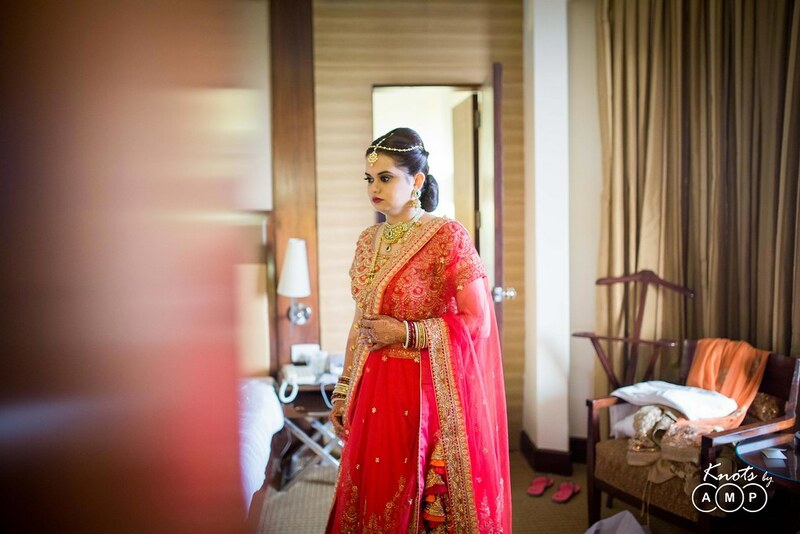 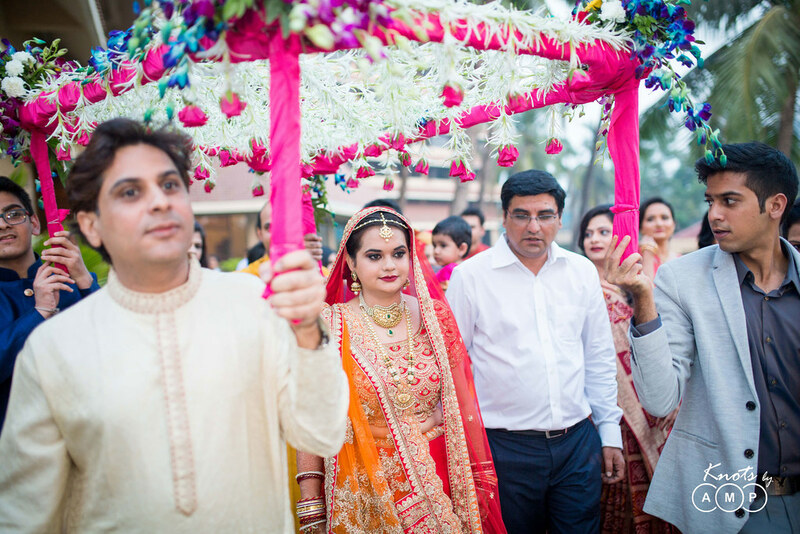 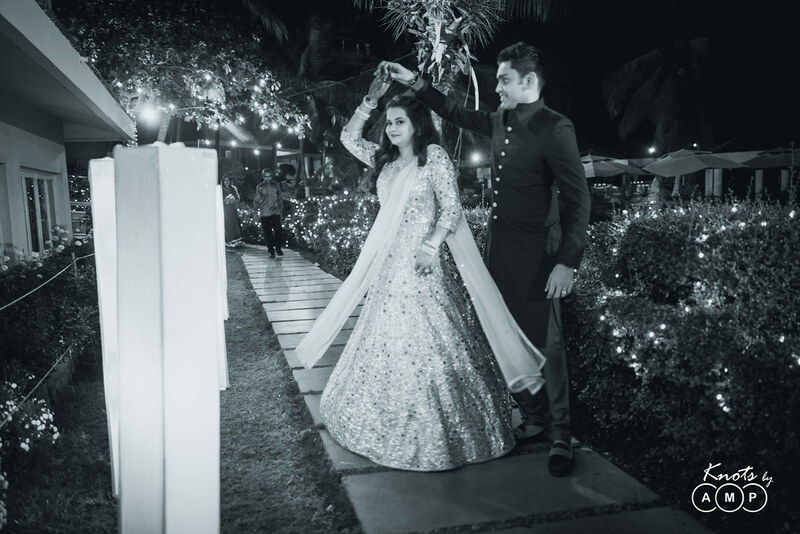 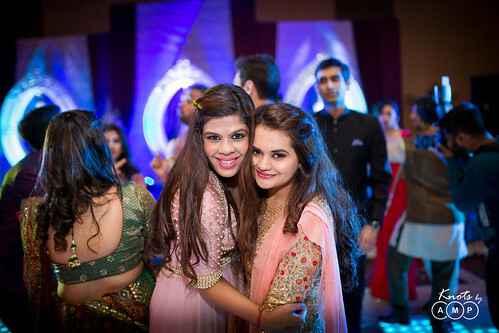 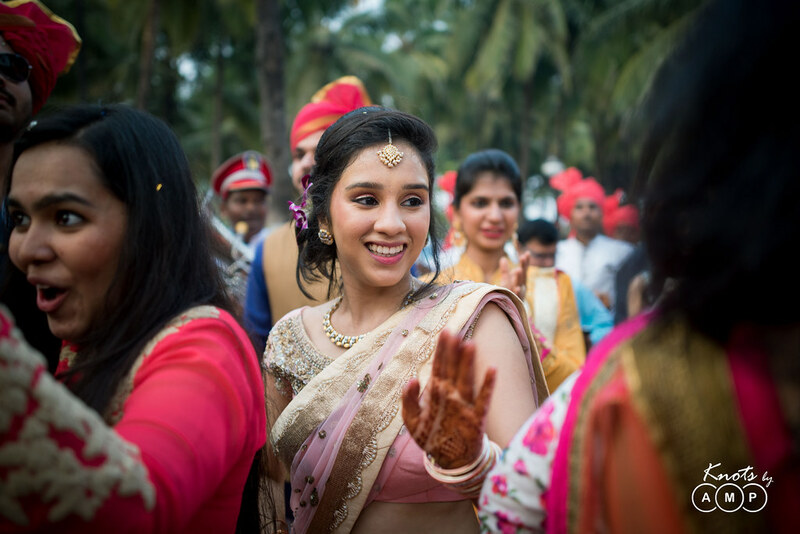 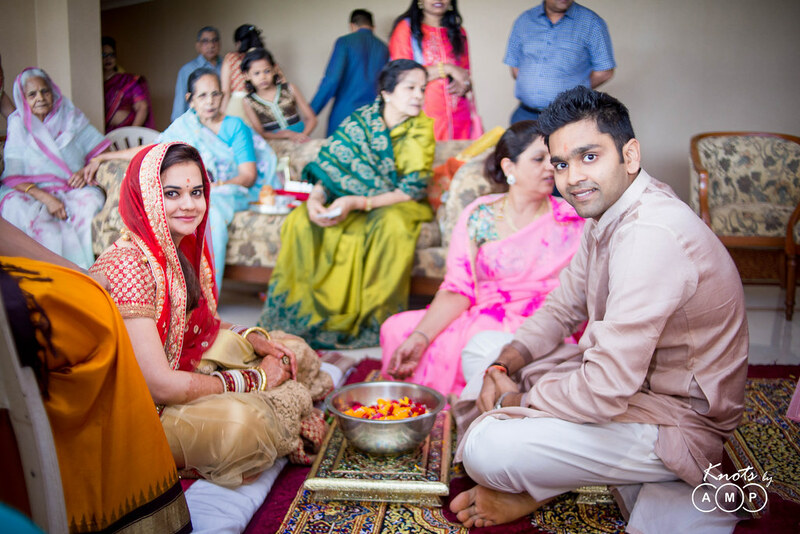 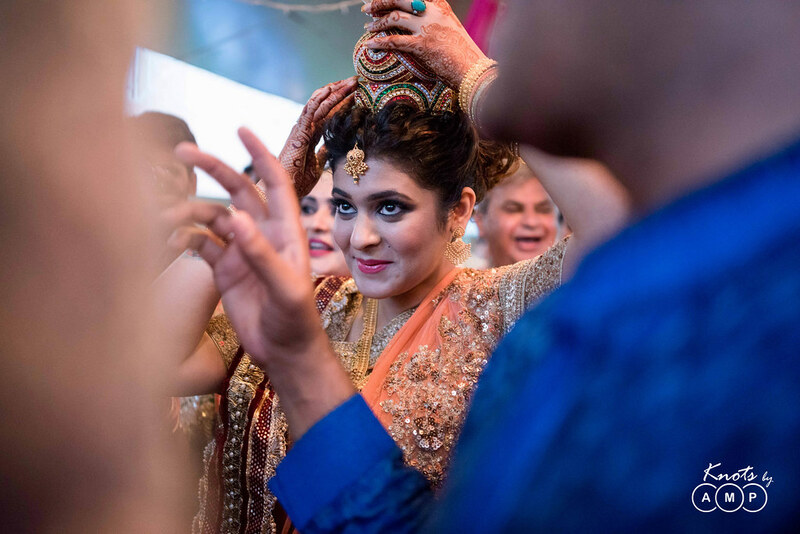 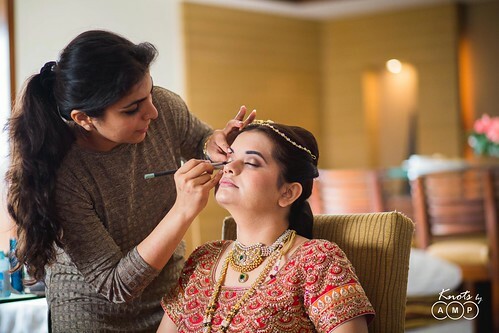 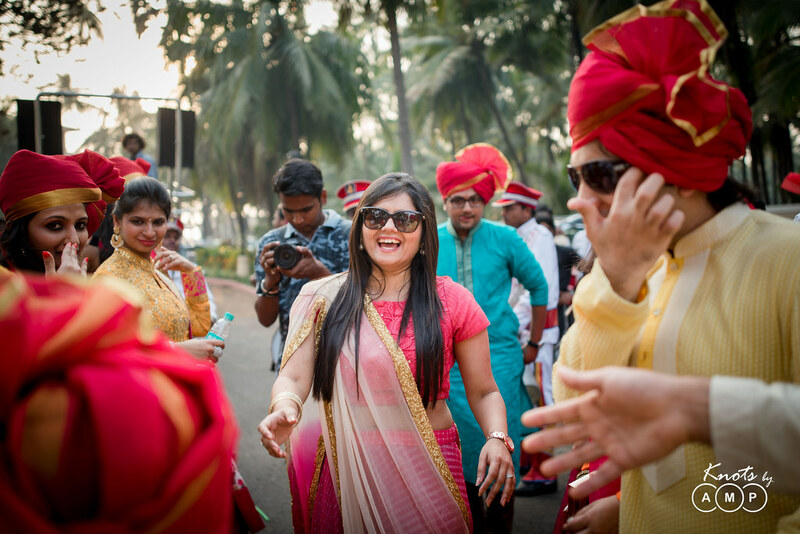 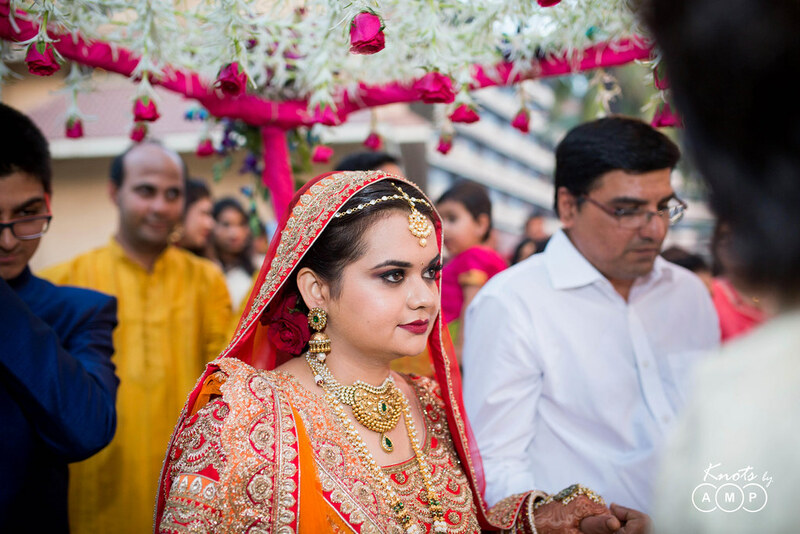 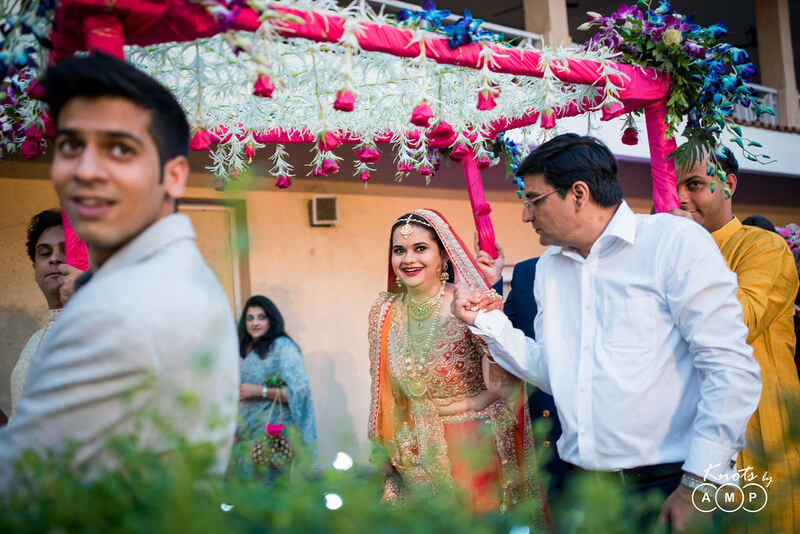 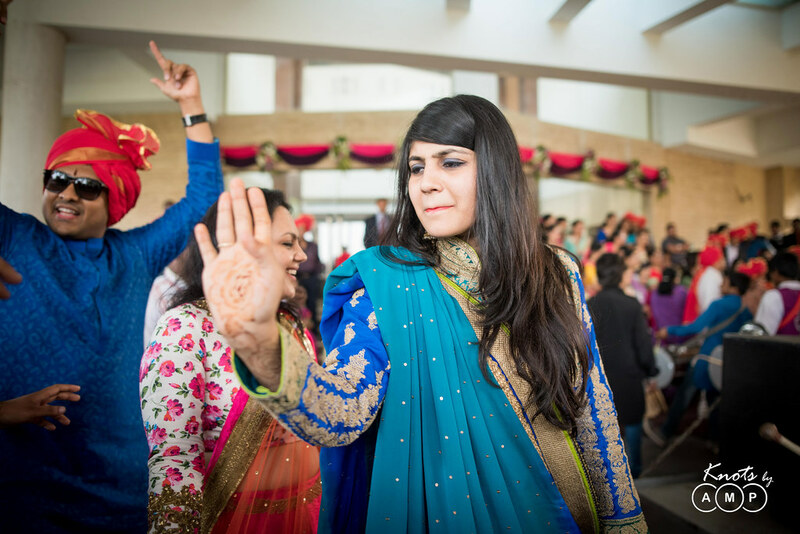 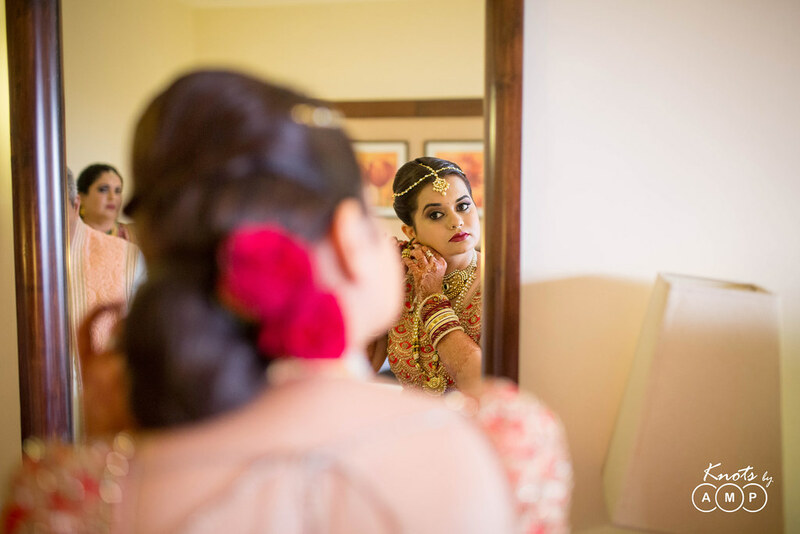 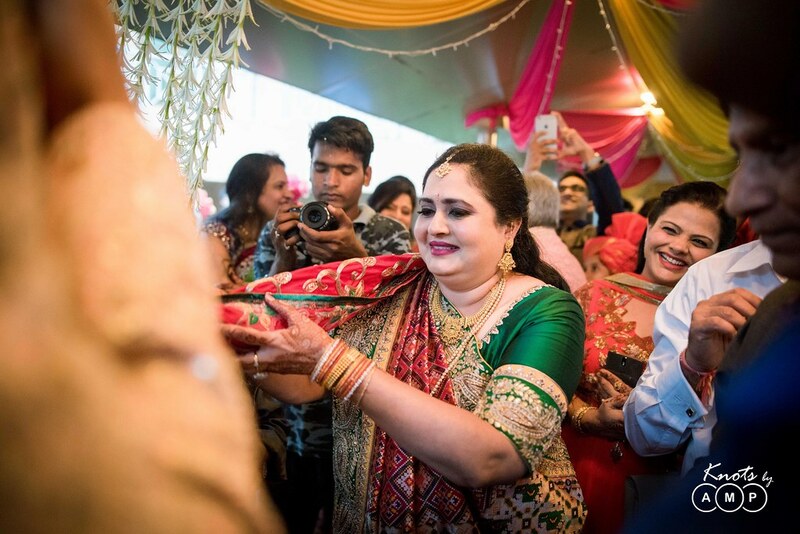 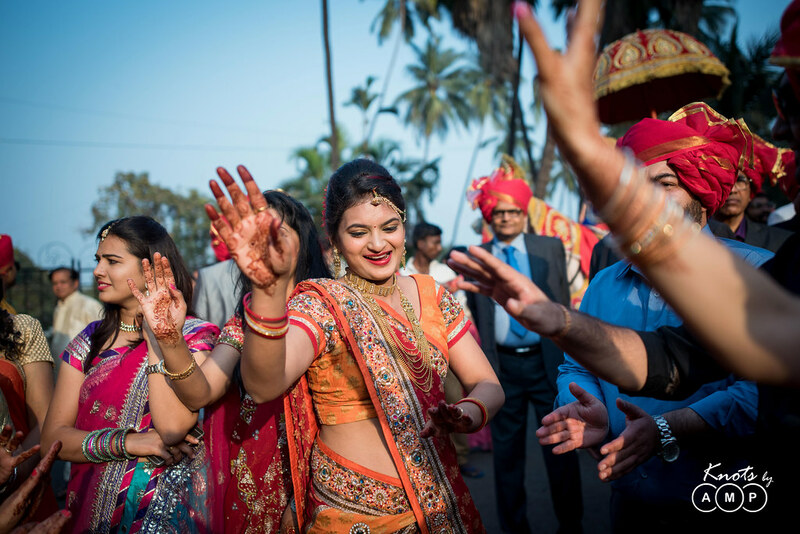 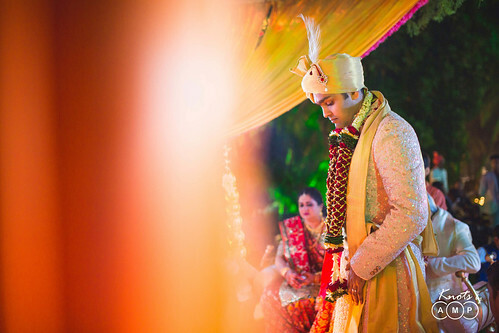 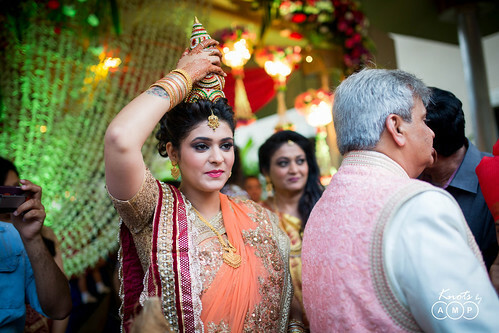 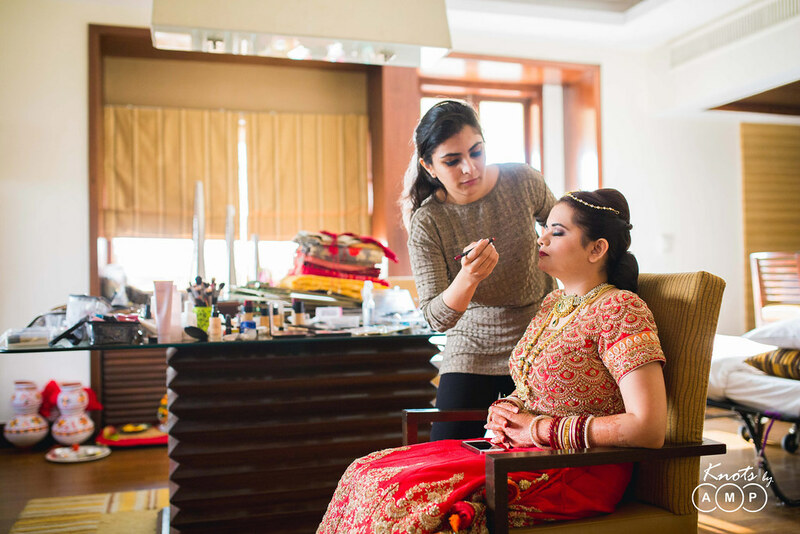 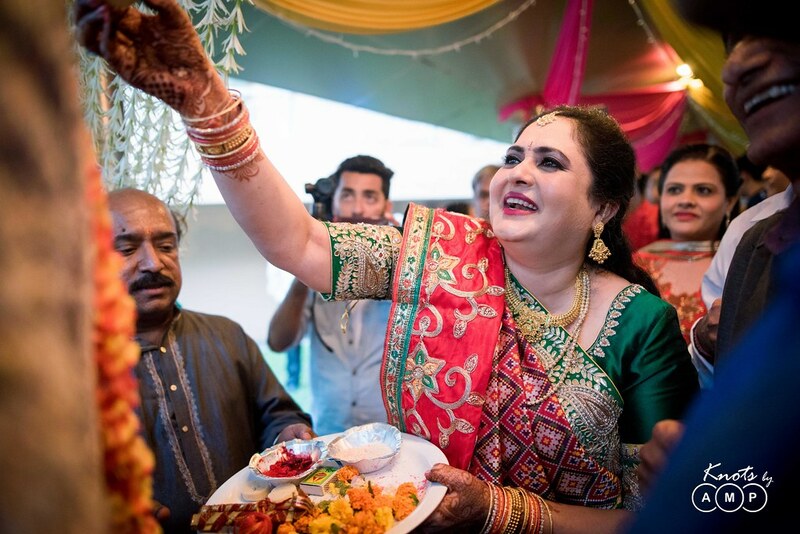 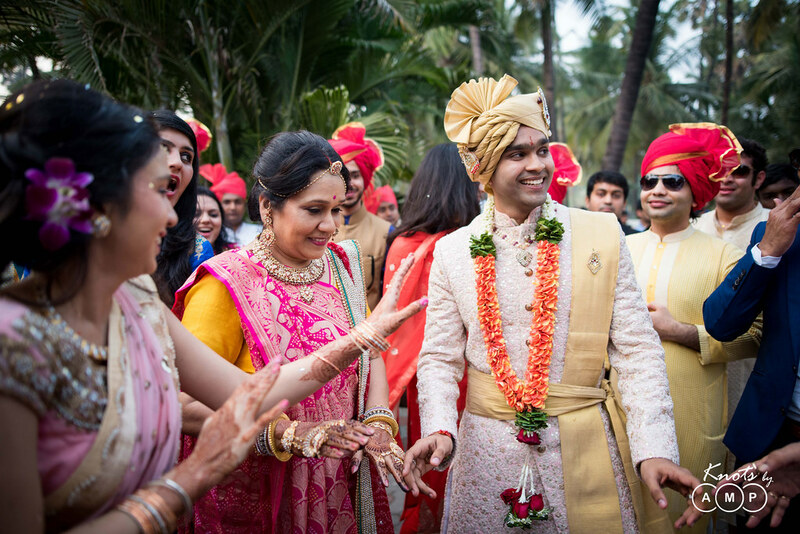 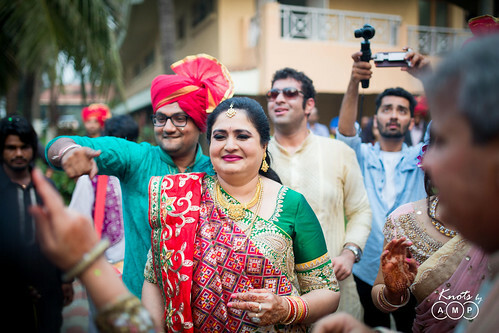 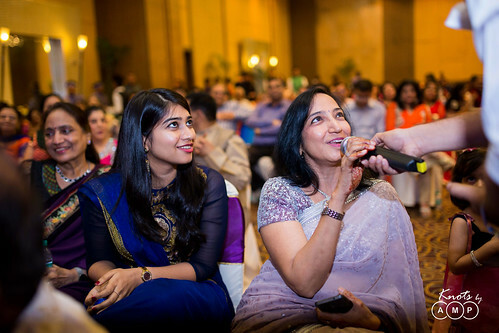 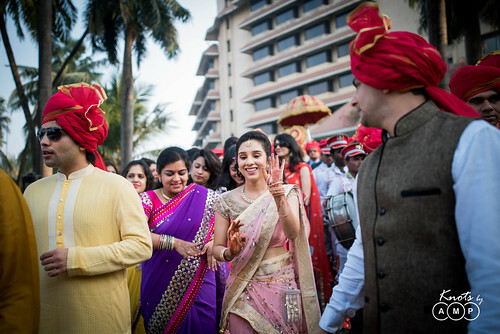 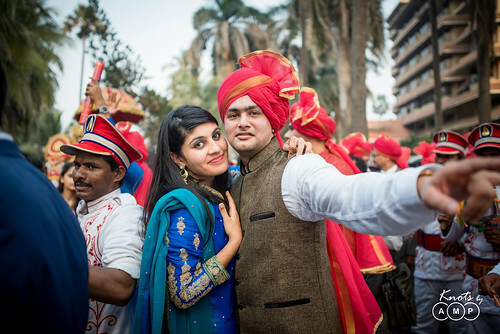 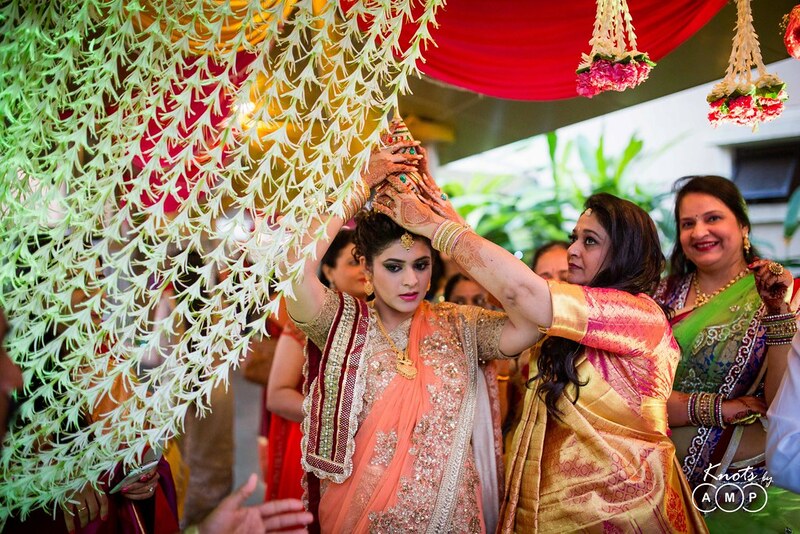 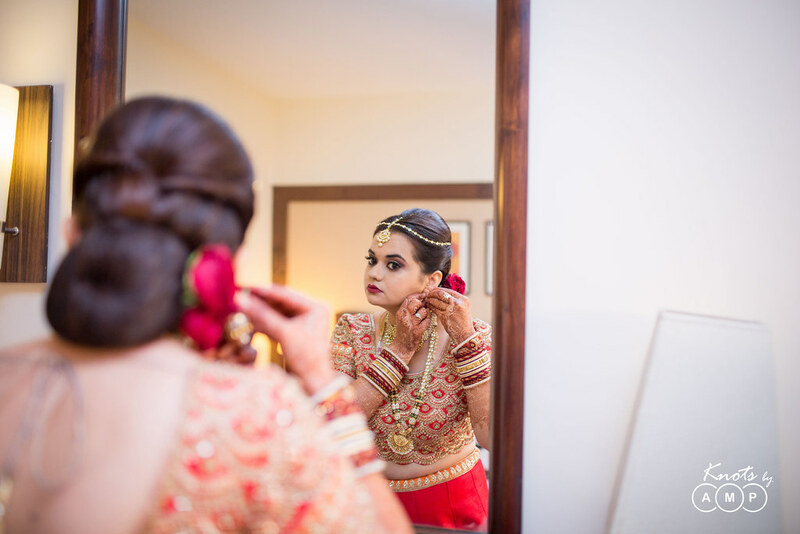 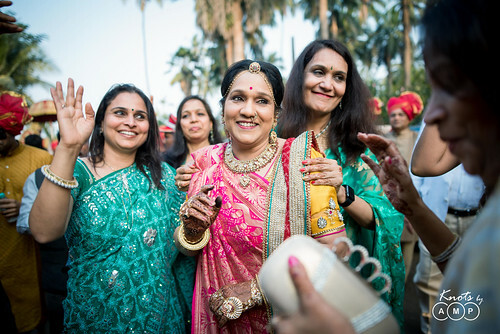 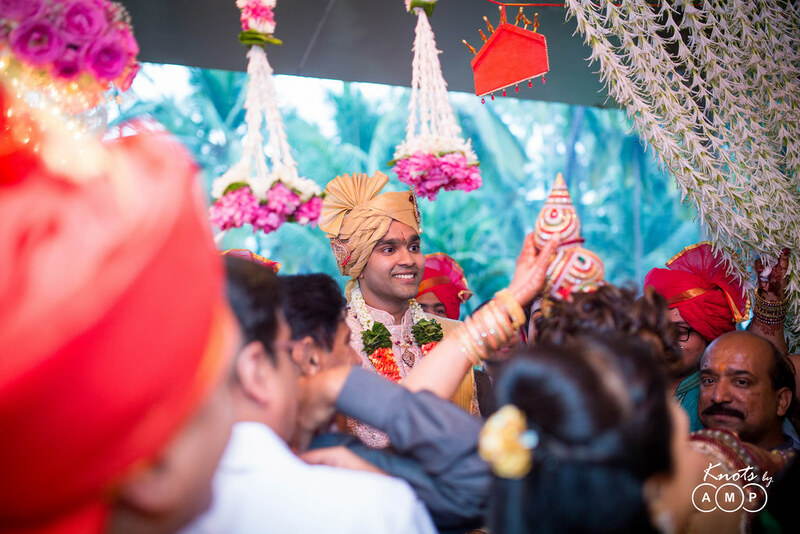 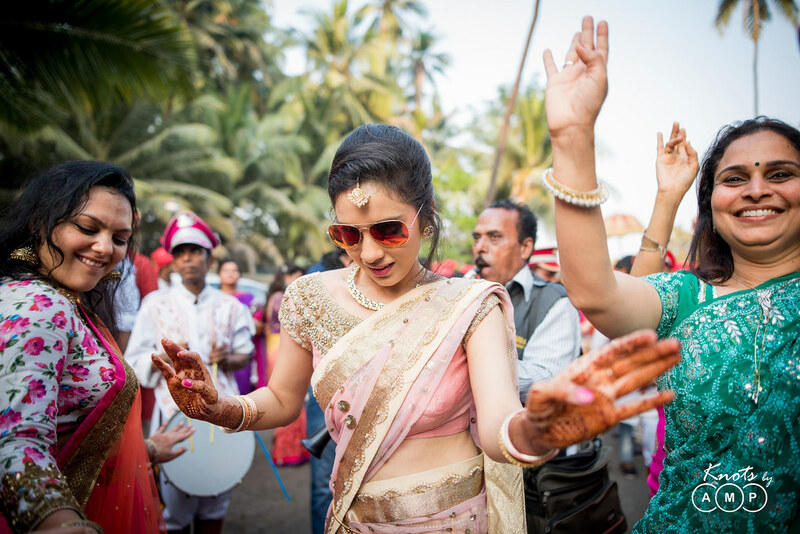 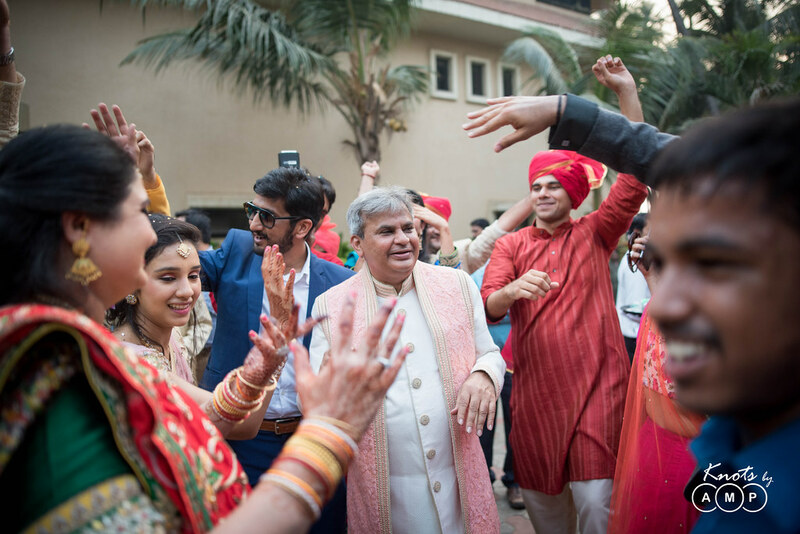 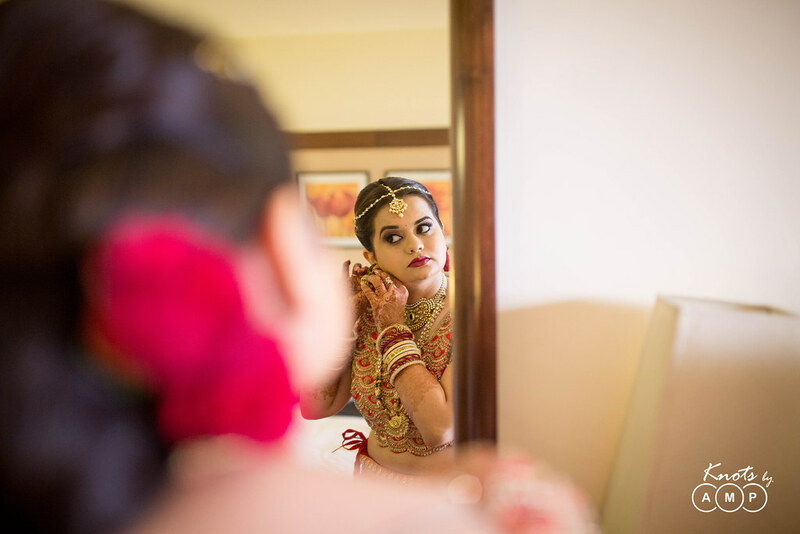 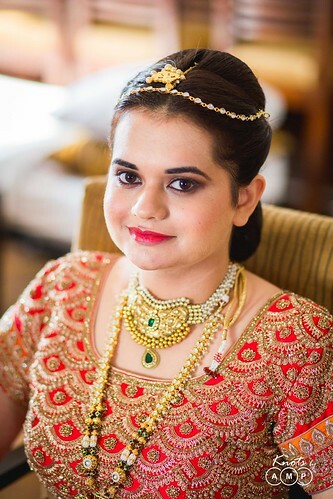 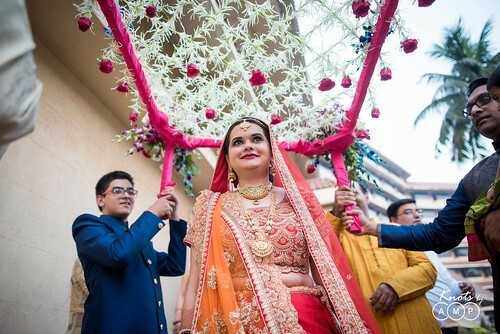 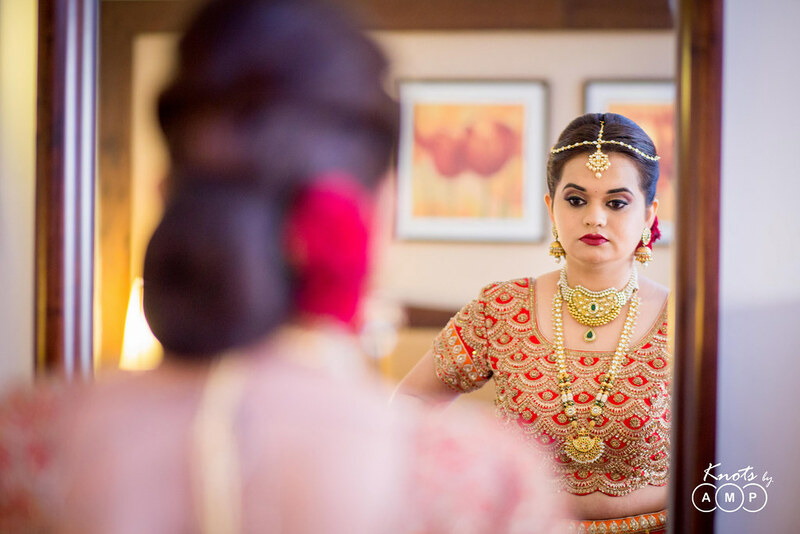 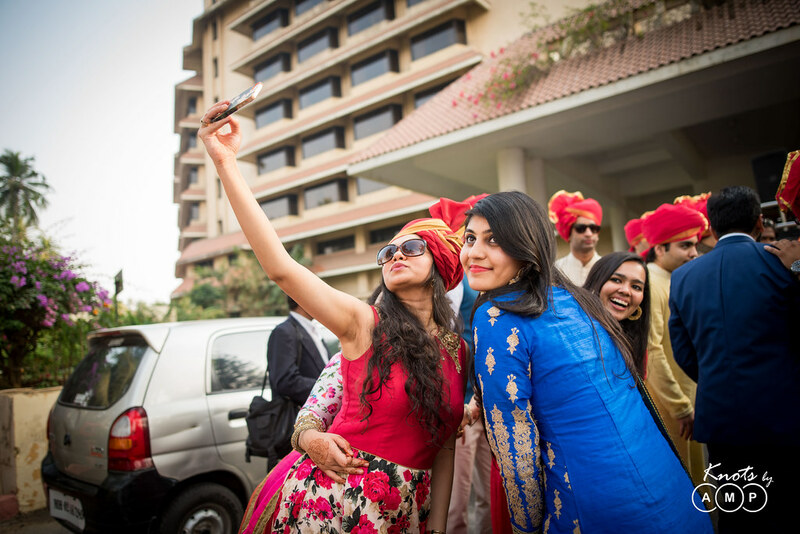 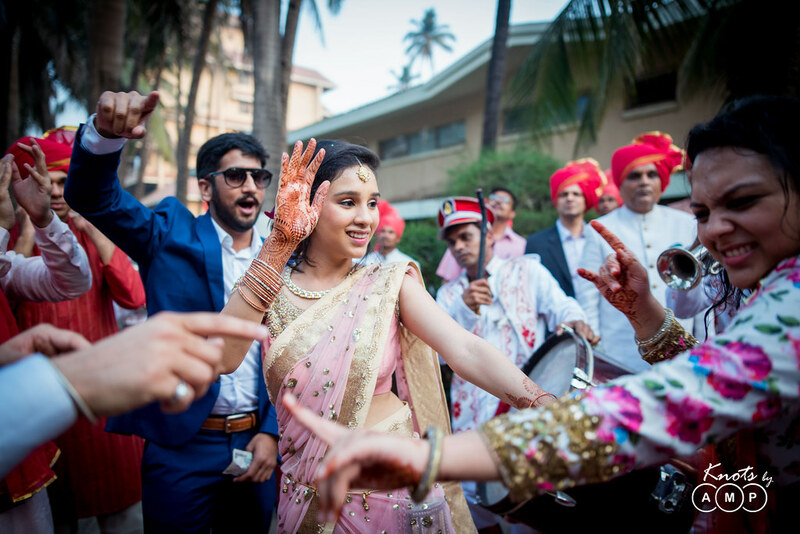 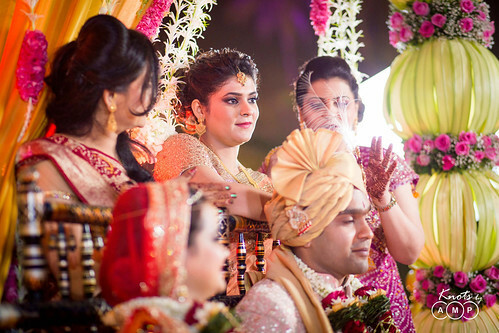 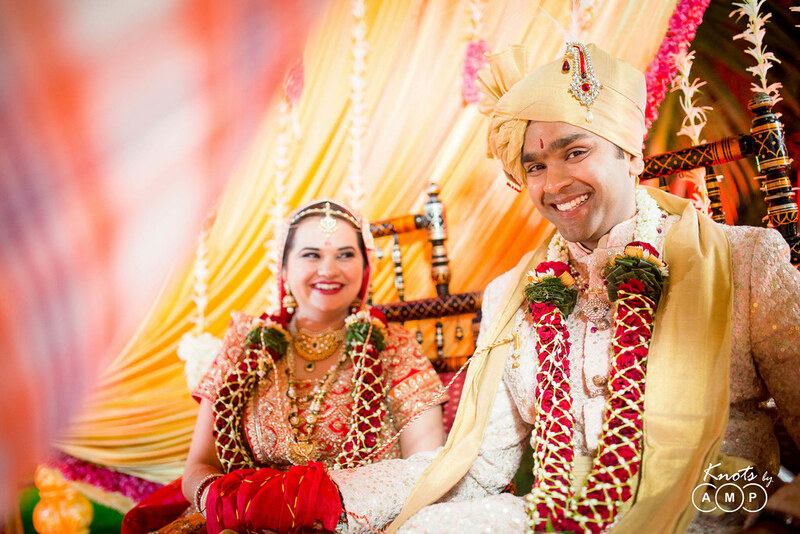 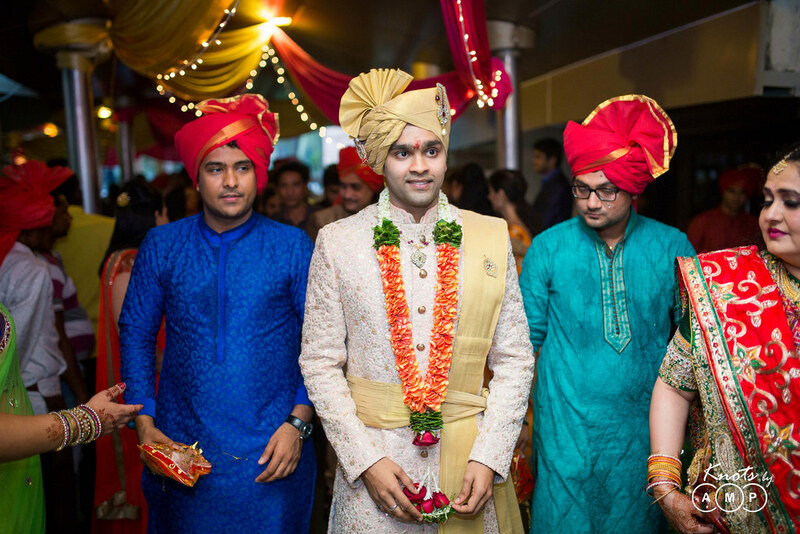 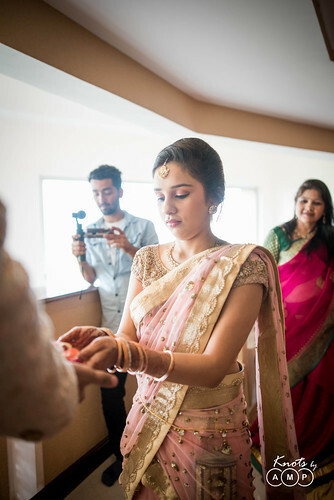 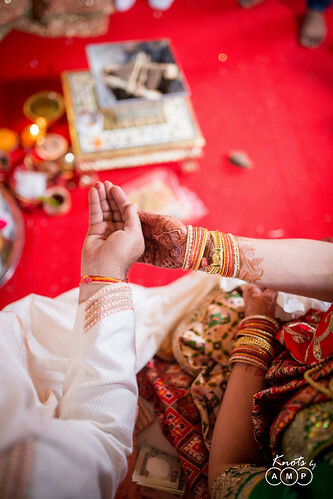 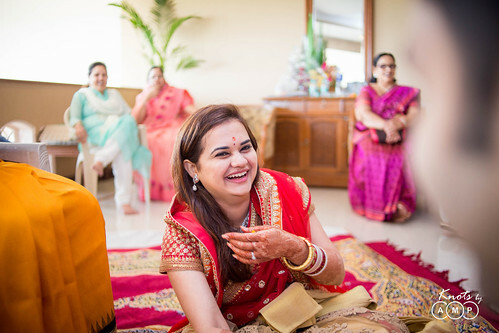 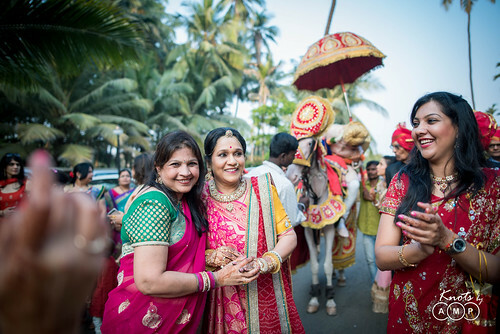 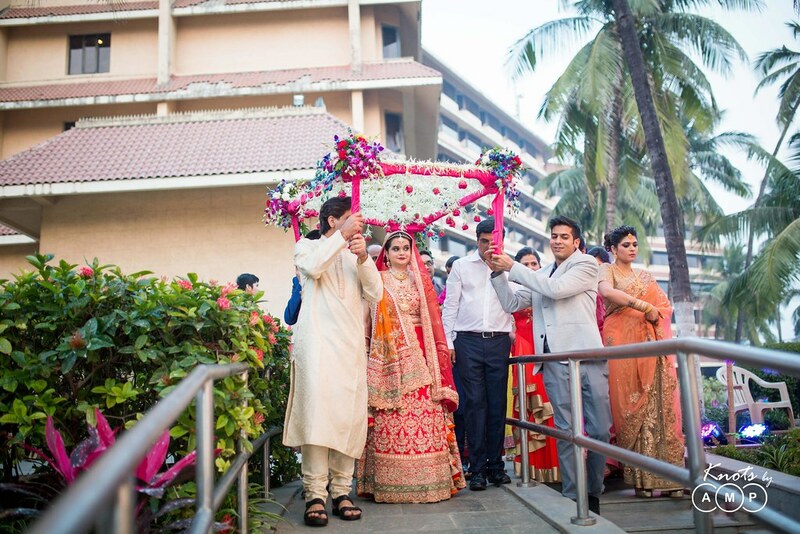 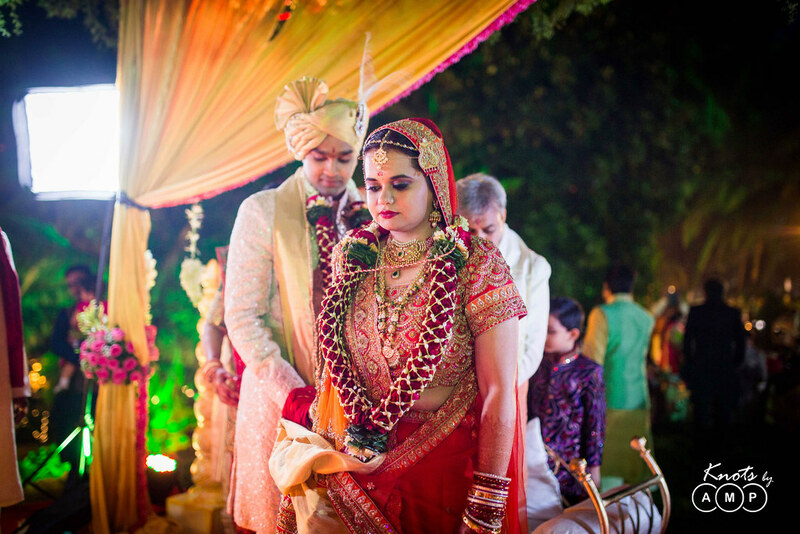 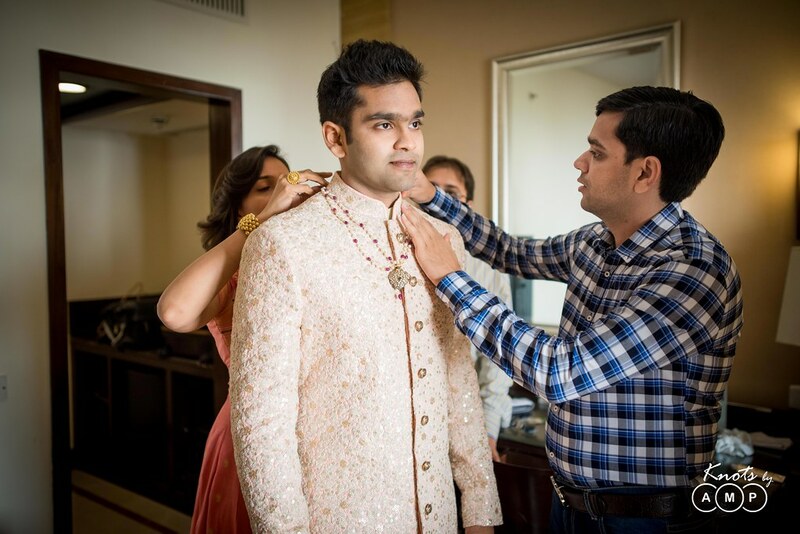 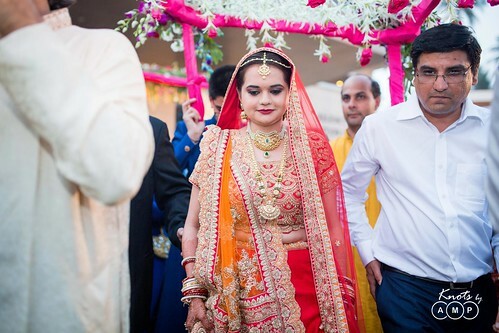 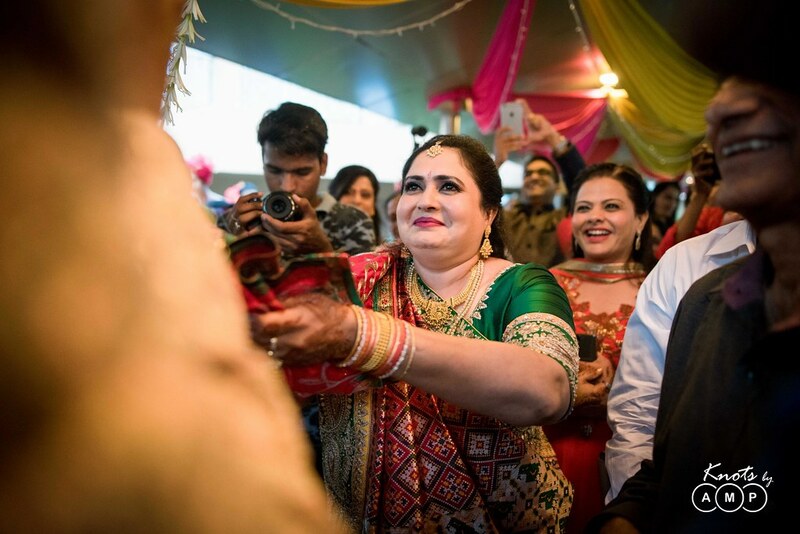 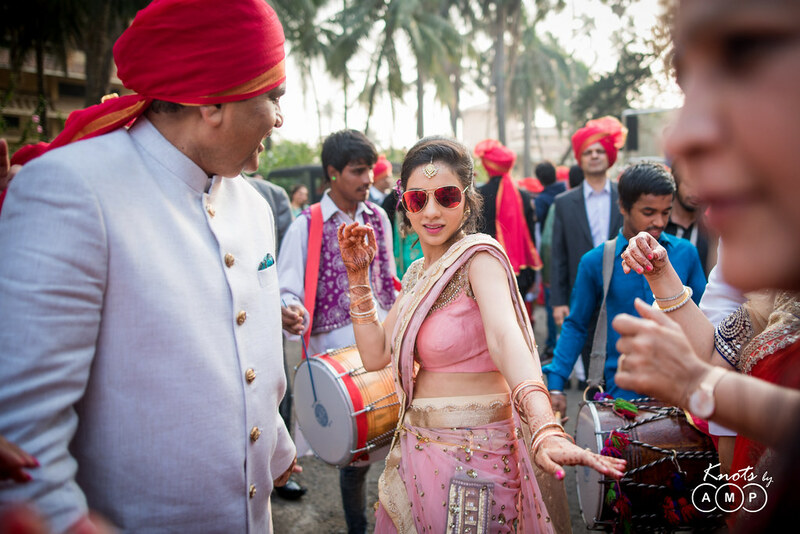 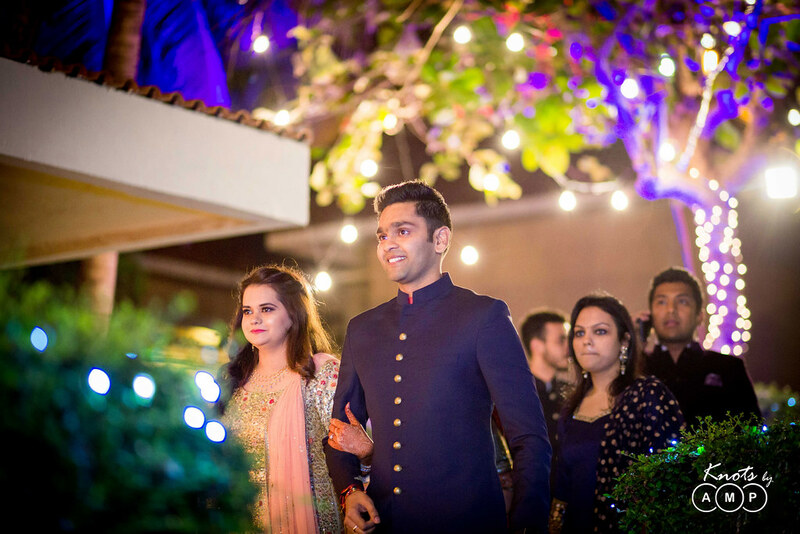 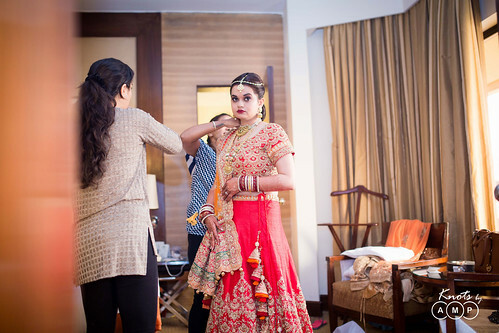 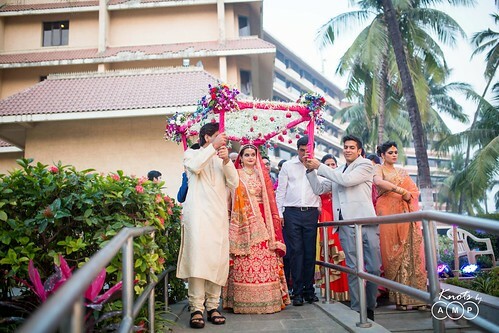 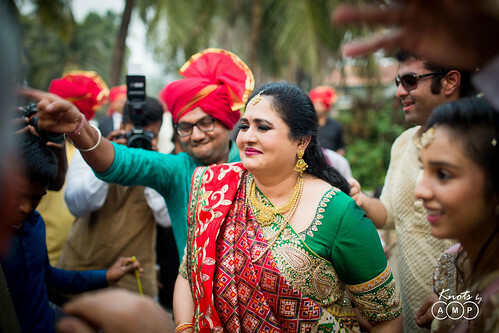 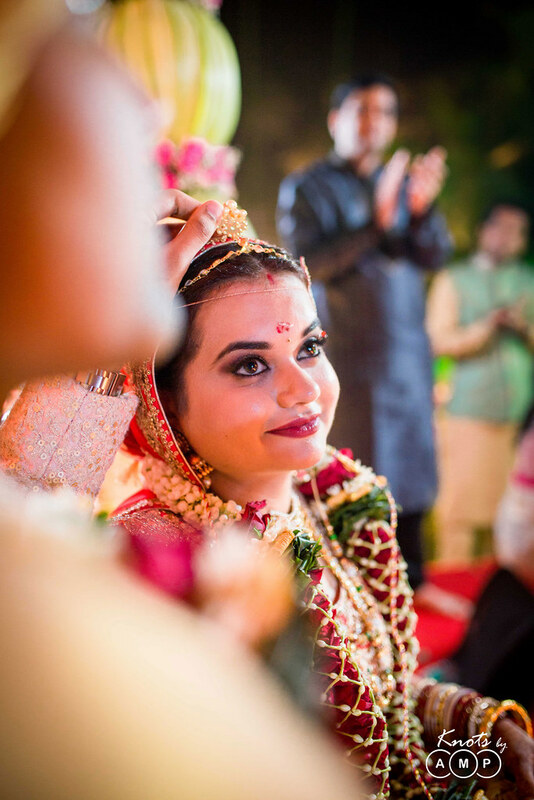 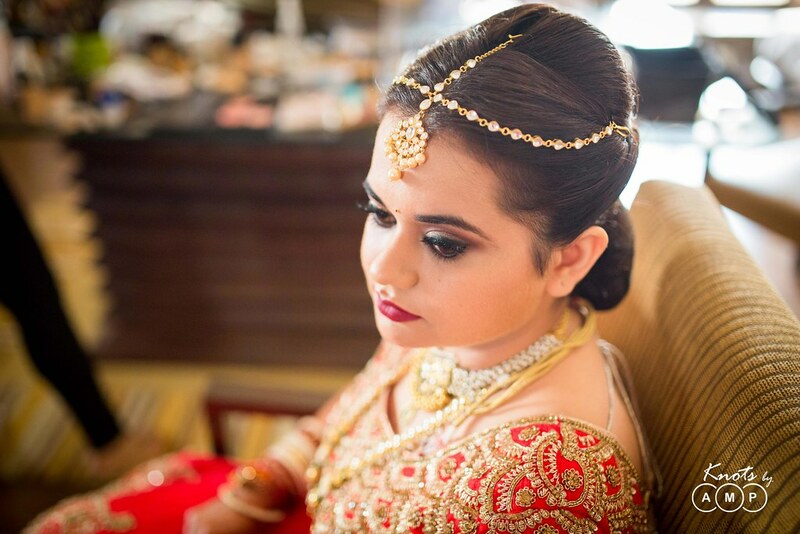 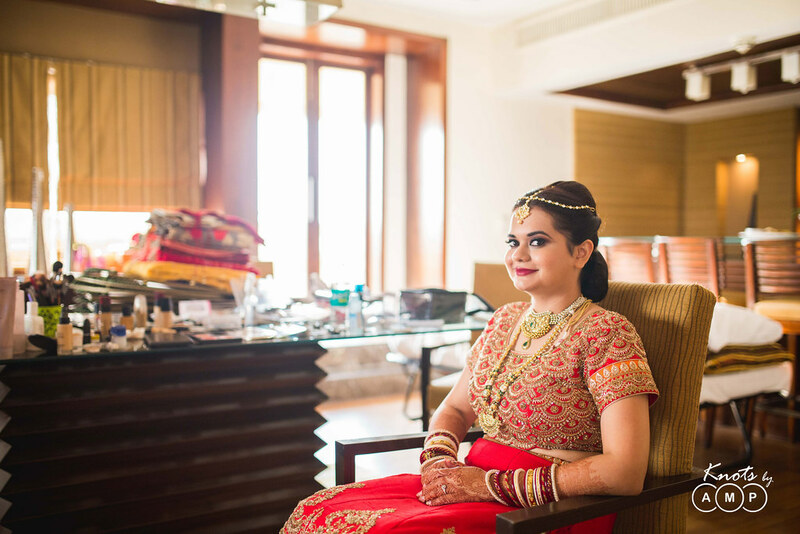 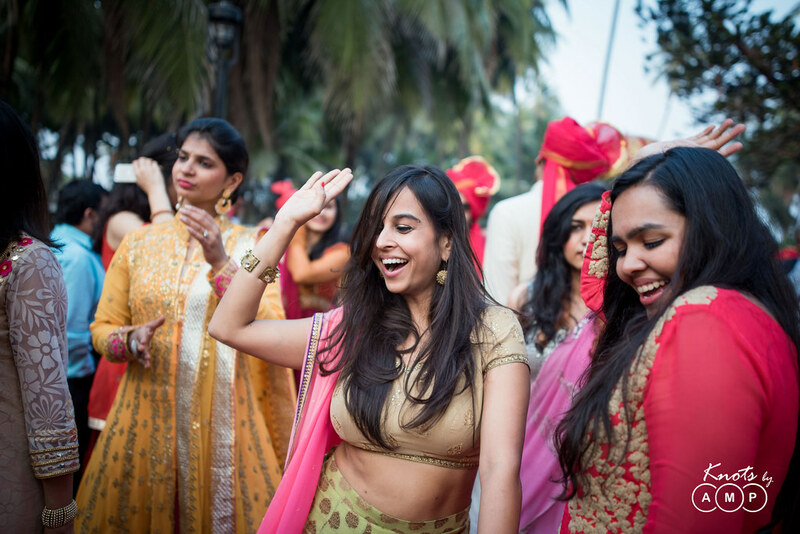 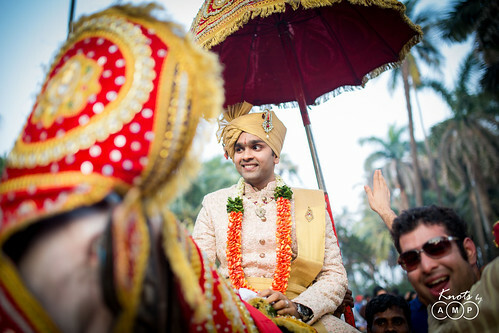 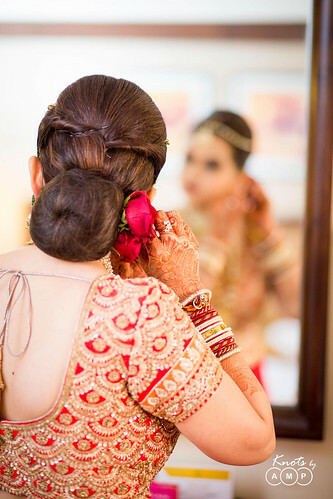 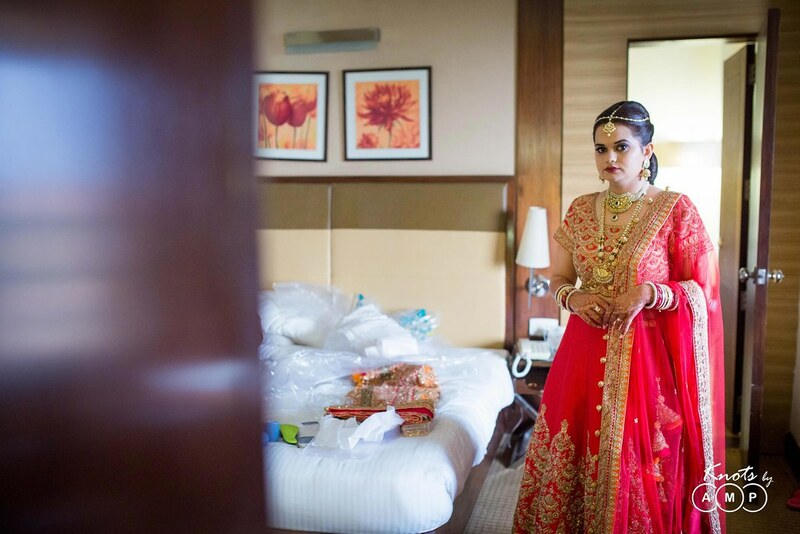 While Shreya was getting ready she could feel the excitement of the Baraat with every phone call and friends walking in through the door bringing the progress of the Baraat. 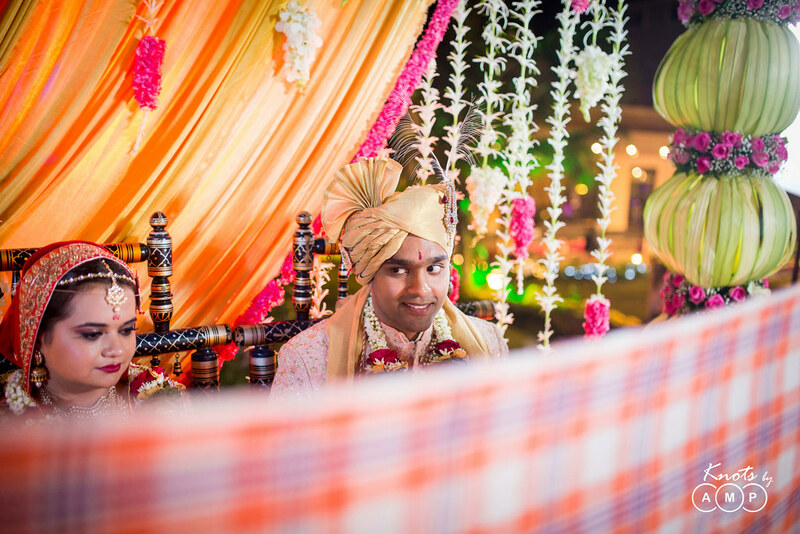 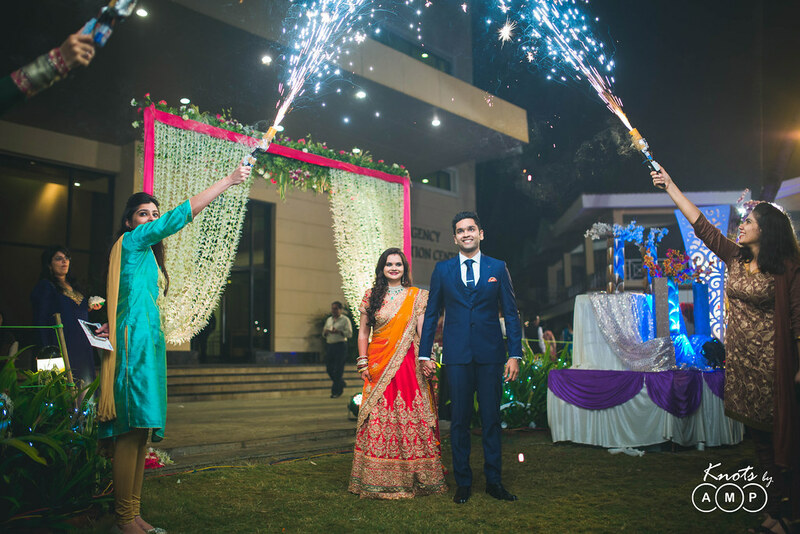 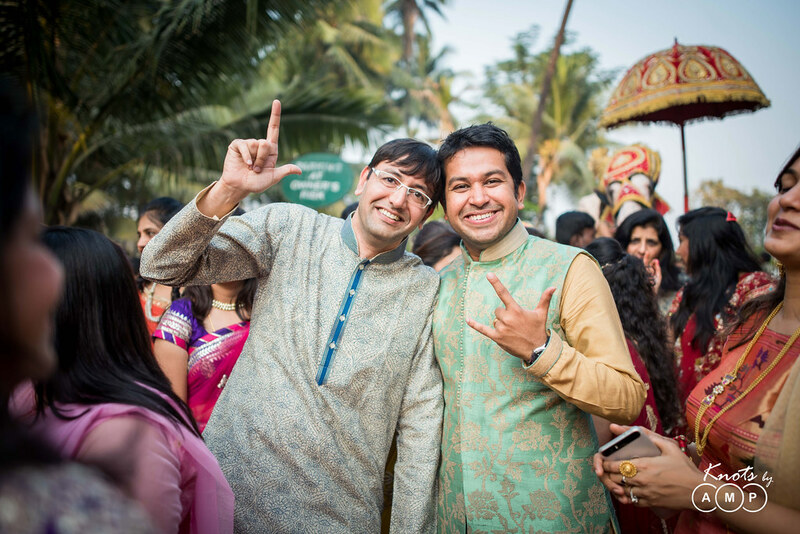 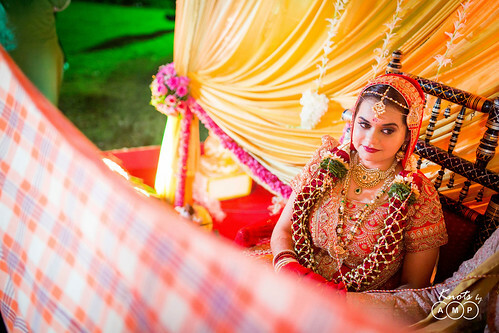 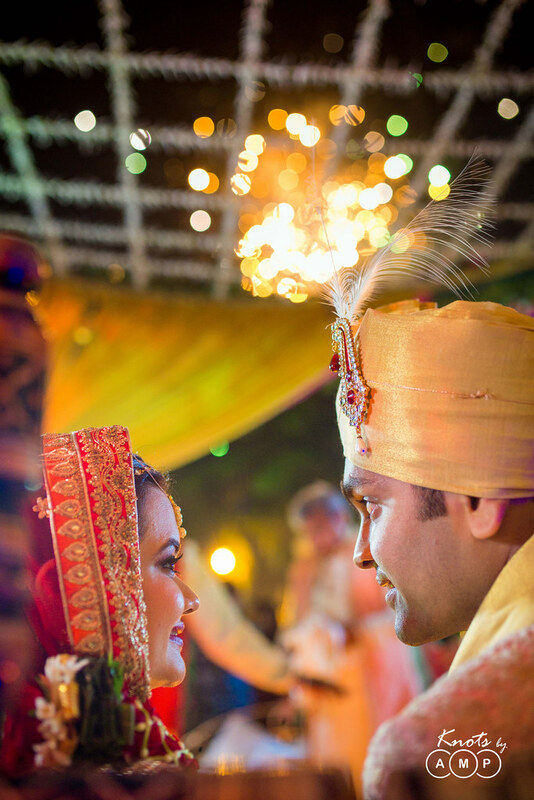 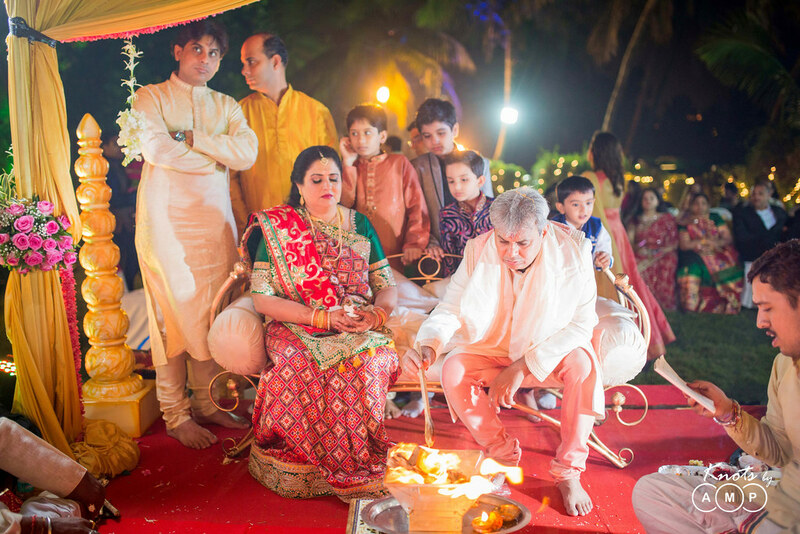 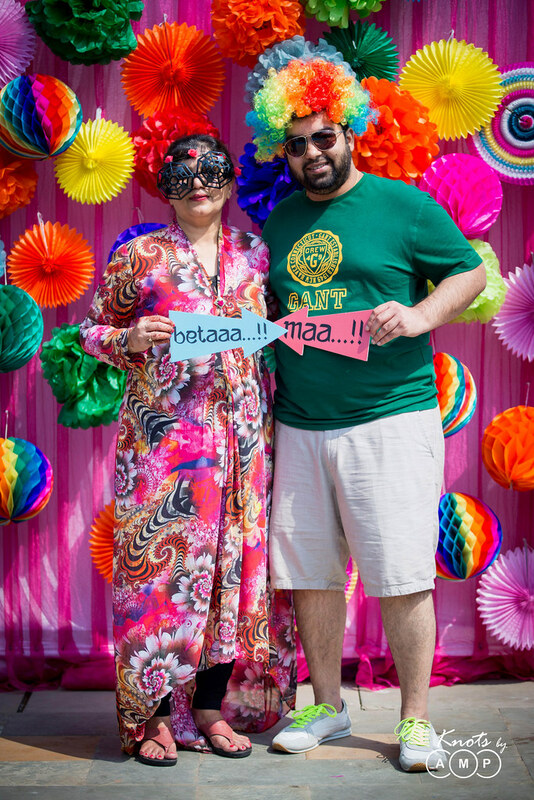 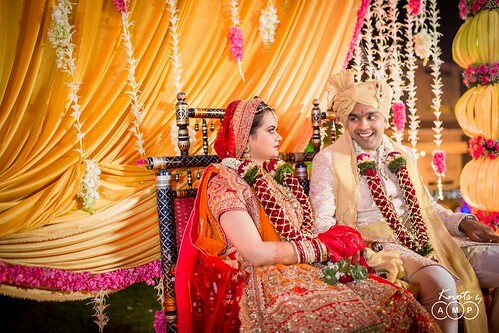 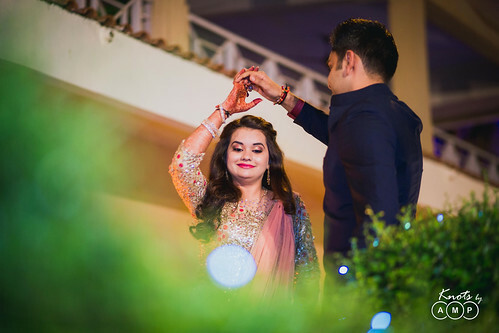 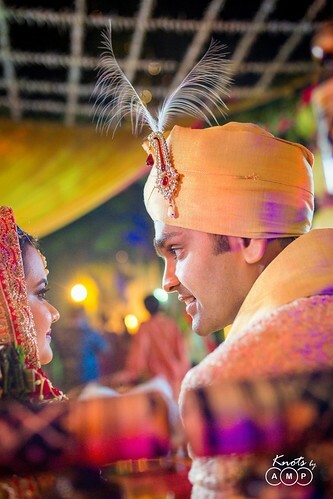 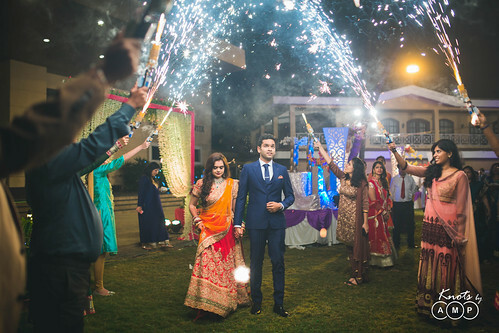 They exchanged Jai maal on the stage amidst pyro fireworks and then moved to a smaller lawn with an open sky mandap for the wedding ceremonies.The Baraat and jaimaal took place in early evening, which gave us the perfect natural sunlight to capture photos with great color and light. 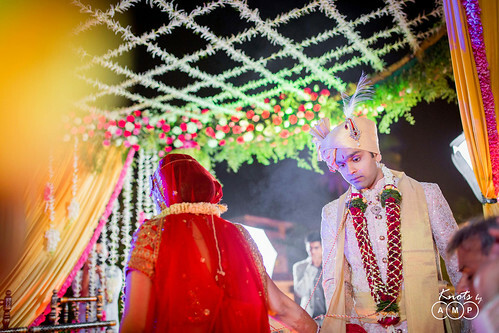 However during the wedding rituals the lighting was very dim. For such situations we carried Halogen Porta lights and also multiple flashes. 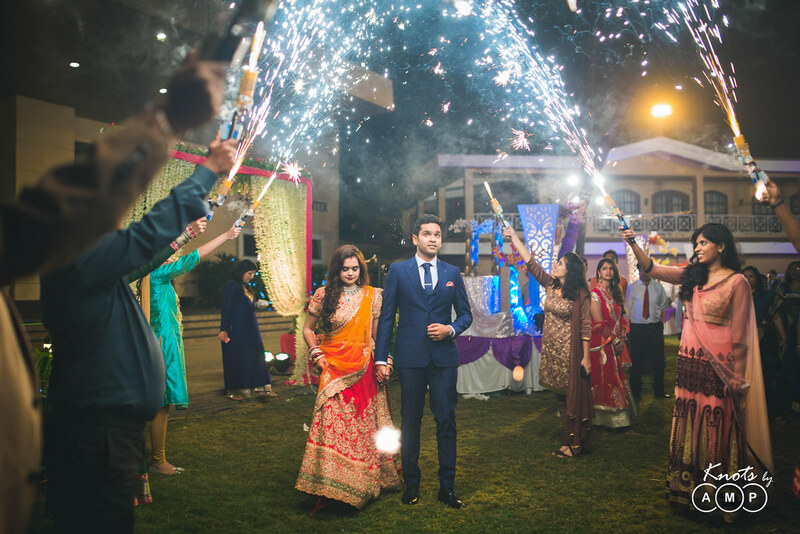 As there was no power supply with sockets in the open lawn, we quickly set up off camera flashes on Bluetooth triggers. We are always prepared for any kind of lighting and having a team helps to deal with such situations. 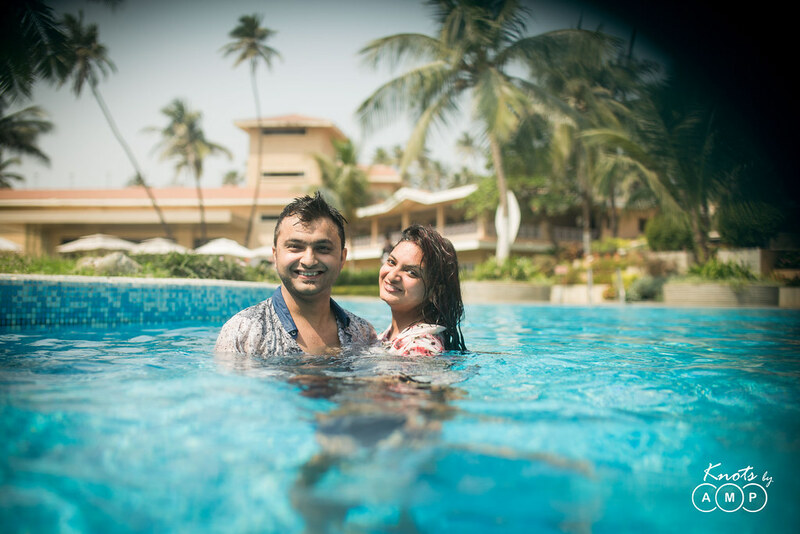 Here are the captures from those eventful days.